With the invention of some really amazing new smart devices, IoT and smart home technology is exploding. It's become so popular in fact, that the amount of websites covering the topic right now is expanding at a lightning fast rate. For that reason, it may be difficult for you to narrow down which ones are worth a regular read. Whether you're looking to upgrade your home, get into the field as an engineering or programming student, or merely interested in the subject, we’ve attempted to cut through the chaff and provide you with what we regard as the top 107 smart home and IoT sites listed below. 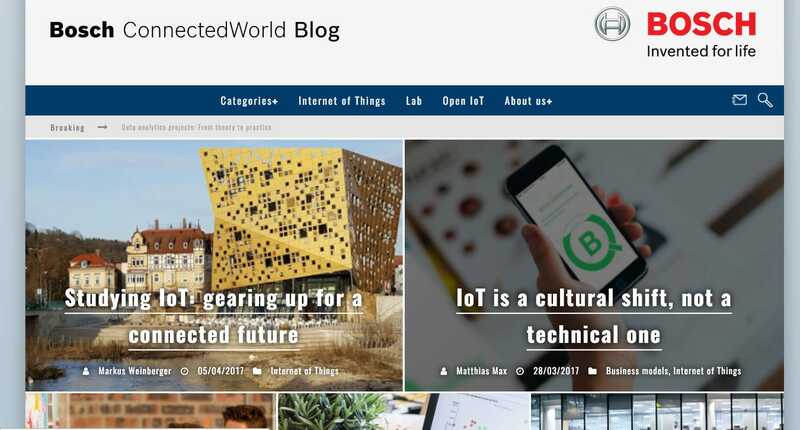 It was very difficult to choose only 107 blogs from the myriad of successful IoT and smart home sites (we started with 100 and had to increase it to 107 in fact). In an effort to remain fair, you will find a variety of subjects covered with the following sites. Not only are high-profile products and institutions listed, niche sites are also offered for your consideration. Since it would be impossible to rank them according to importance, they are simply listed below in no particular order. 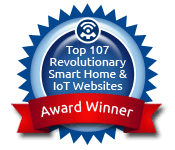 According to our research, here are what we consider to be the top 107 smart home and IoT websites. 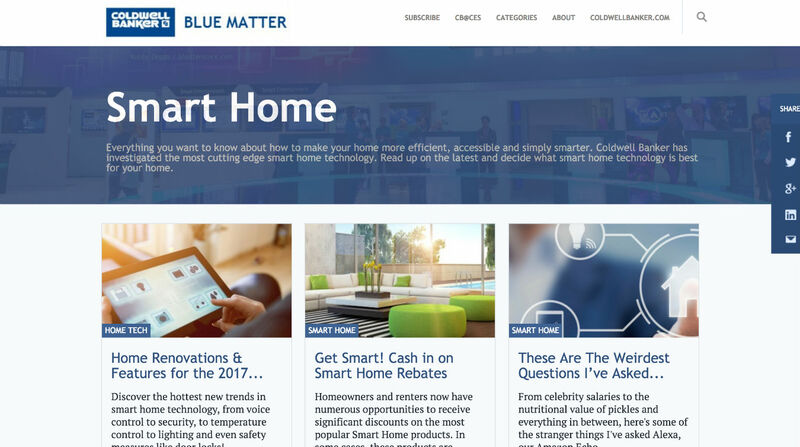 Blue Matter from Coldwell Banker is a real trendsetter in the connected home space. They helped define the term "Smart Home" 10 years ago and they have agents in the field that are smart home certified. 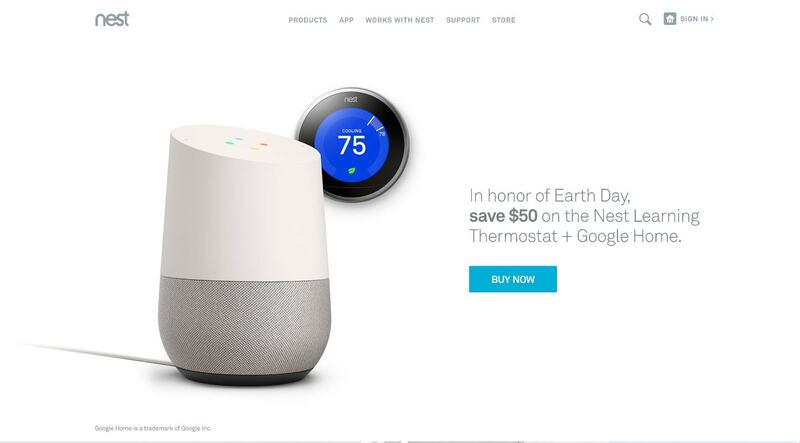 Their blog has a lot of really great information on subjects ranging from renovating your home to include smart home tech like echo dot accessories to rebates and ways to save money with smart home devices. Just the name MIT conjures up an image of exceptionally smart people. As you might expect from a school so well known for technology, they are very involved in the IoT space. 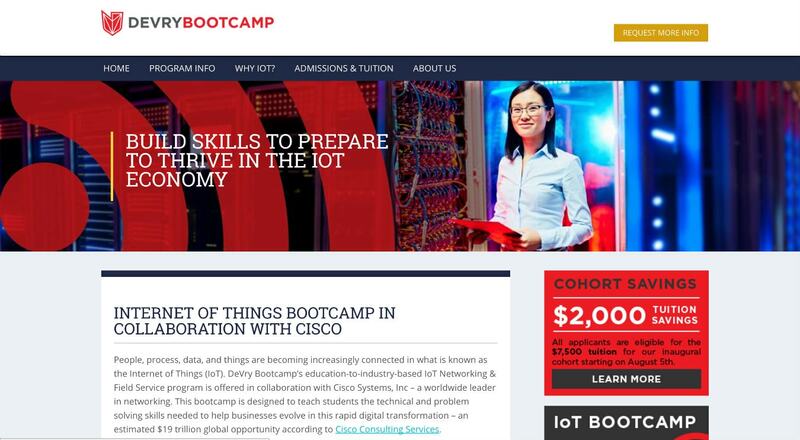 Their IoT bootcamp is dedicated to "Solving big problems with tiny computers". With their team of 12 all start teachers and industry professionals, I can hardly wait to see what they come up with! 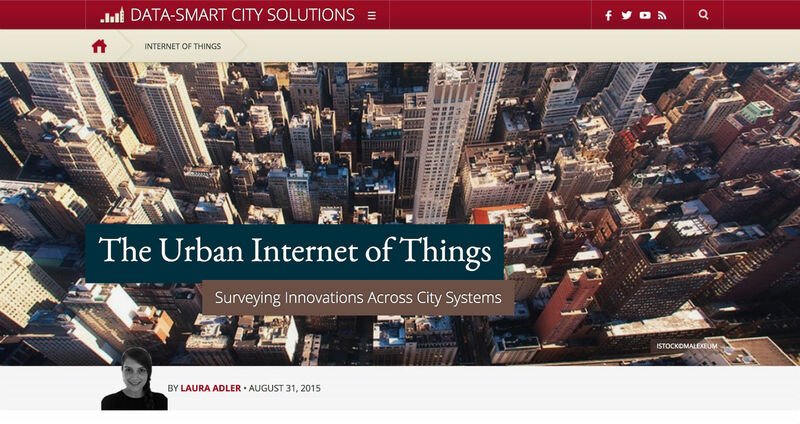 The Harvard Kennedy school has taken IoT to the next level... Entire Cities! With their Data-Smart cities initiative, they aim to combine advanced technology with civil engineering. They have many projects in the works including "The Responsive City" and the "Mayors Challenge". You can bet that in the future when your city is running better, faster and cheaper, HKS will have had something to do with it. 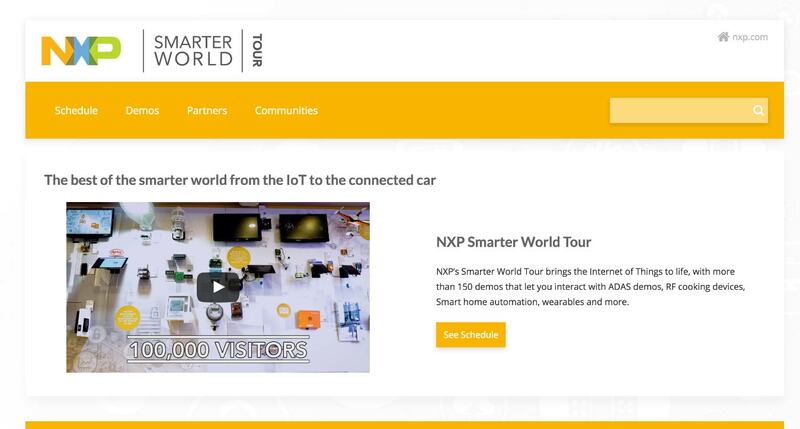 NXP is a semiconductor company that is heavily involved in IoT and they are taking their show on the road. With over 100,000 visitors so far they are showcasing their advanced infrastructure with the IoT on wheels program. They have full demos of products that address performance, power and security concerns with IoT and smart home devices. Take a look at their schedule to see if they're coming to a town near you! 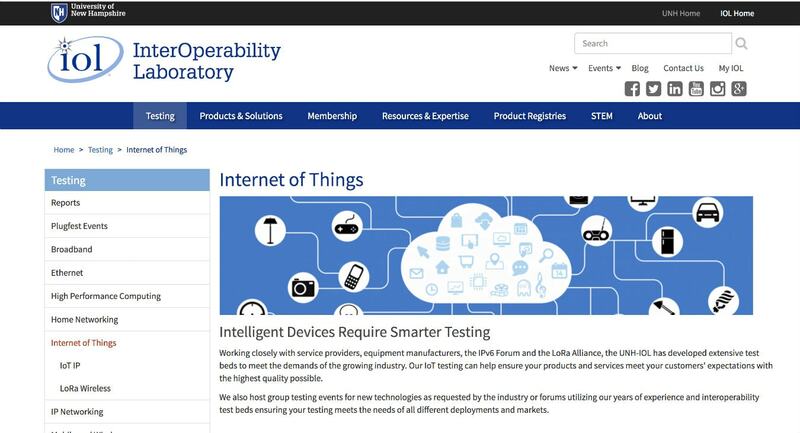 The University of New Hampshire InterOperability lab has a very high level testing facility for companies interested in their vast expertise in hardware and software protocols. There are many resources for companies and engineers interested in inventing and advancing IoT technology. They also have a paid program for their extensive testing services. 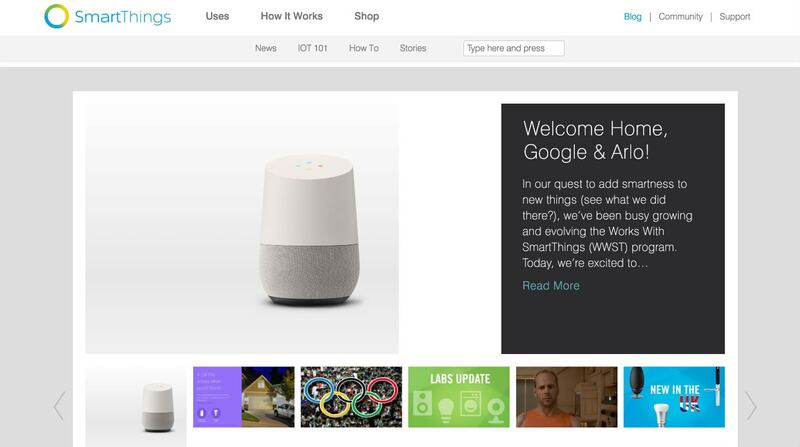 Nest, owned by Google has a fantastic array of smart home products. Thermostats, smoke detectors, security cameras and carbon monoxide detectors round out their product mix. If you own any of the Nest devices, then their blog is a must read. It will give you updates on new features and give you tips on how to best use your smart home. 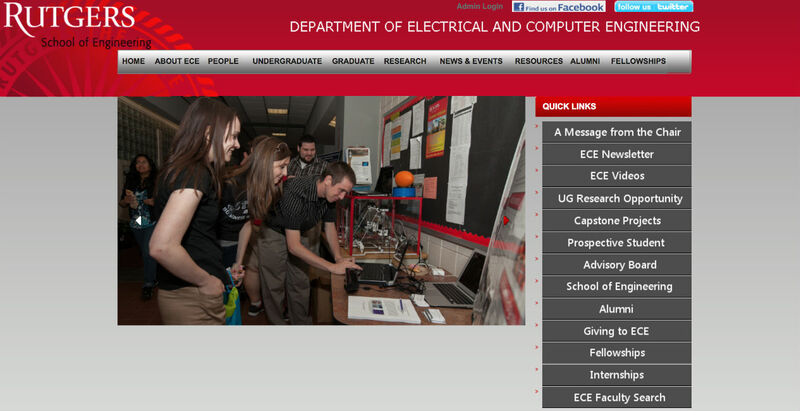 Rutgers Department of Electrical and Computer Engineering has a fantastic staff of award winning teachers. Recently their students placed very high in the prestigious HackHarvard competition. They are of course involved in the IoT and smart home space with research in RFID and other advanced technology. The Internet of Things World is a mega IoT conference sponsored by such heavyweights as Microsoft, Intel, and Samsung. They have industry-leading speakers from the likes of Boeing, Zipcar, NASA and the Coca-Cola company. They have many exhibits and breakout sessions. This is THE conference to go to if you are a startup or industry professional involved in the Internet of Things. 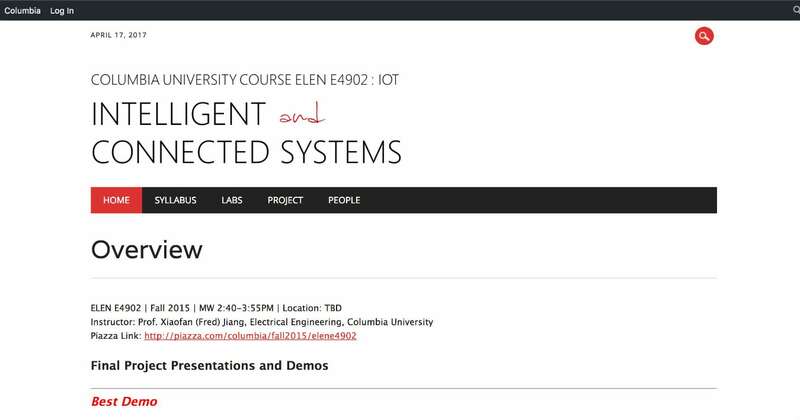 The Columbia University Intelligent and Connected Systems program has a lot of really cool projects related to the connected future. From smart food delivery lockers to smarter treadmills, their students have come up with some really useful innovations. Their program includes working with various sensors, creating wired and wireless networks and designing embedded hardware. 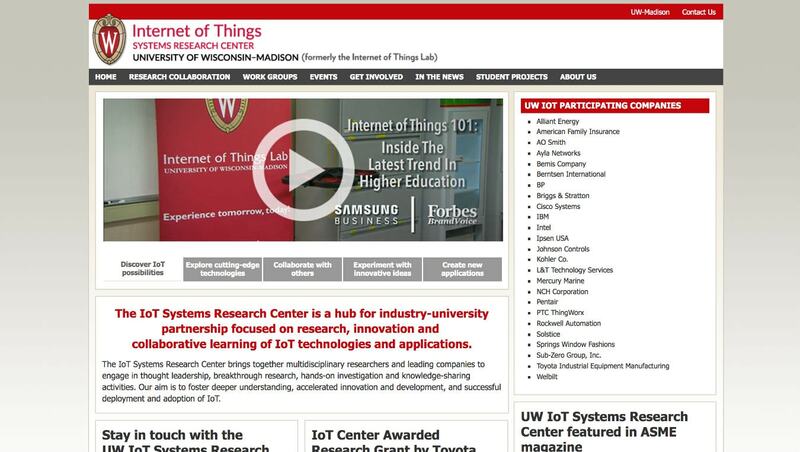 The University Of Wisconsin-Madison Internet of Things Systems Research Center is a big player in the IoT space. They were recently awarded a significant grant from the Toyota corporation. They have some fascinating student projects including IoT integration with augmented reality and literally controlling Philips Hue lights with your mind. Amazing! 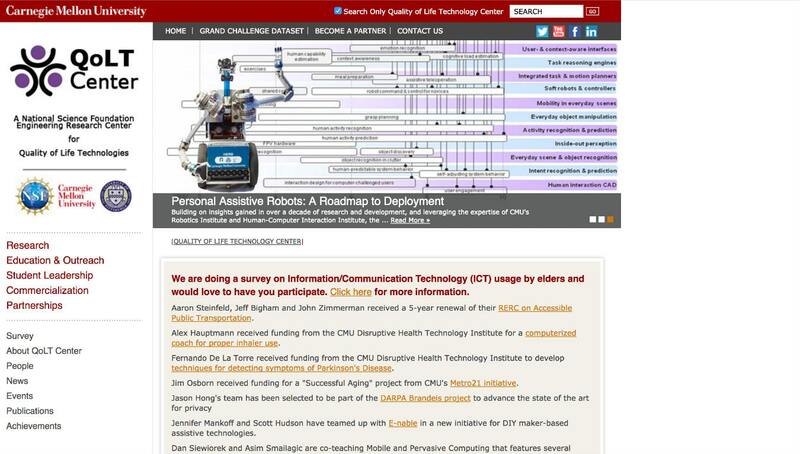 The Carnegie Mellon Human-Computer Interaction Institute has taken on an important social issue with its Quality of Life Technology center. Their mission is to transform lives in the growing aging and disabled communities. Along with the University of Pittsburgh, they are leading the way with innovations including personal assistive robots and assisted driving technologies. 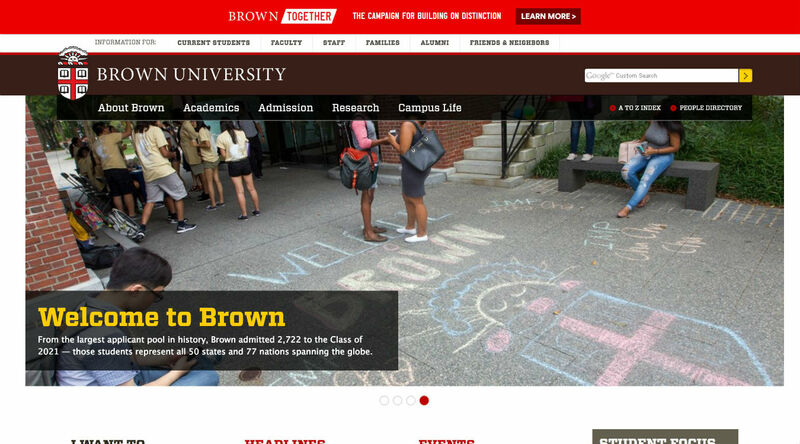 Brown University has many pre-college programs designed to bring up the next generation of IoT engineers. They currently offer programs such as "Custom Home Automation With Arduino". In the class, they teach you the basic electronic and programming skills required to dive into the Arduino hardware and software ecosystem. 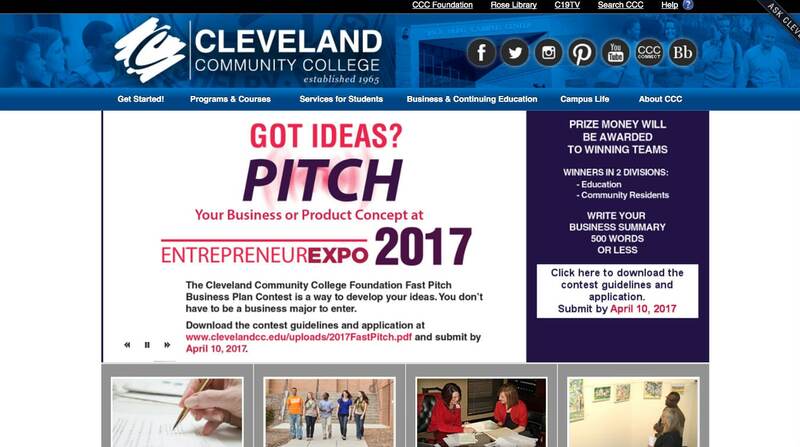 Carnegie Mellon University makes another appearance on this list with its Integrated Innovation Institute program. They currently offer two masters programs. One focused on product development and one on software management. Since 1986 they have been leading the way with first of its kind programs. They were the first University to offer a Masters degree in product development. 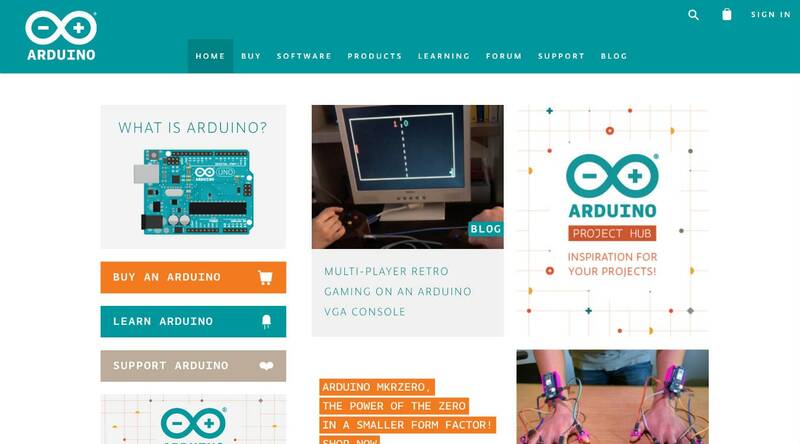 Arduino is a hardware and easy to use software platform designed to help nonengineers create digital projects. It has become a massive DIY community of inventors and hobbyists. On their blog, they highlight and recognize many of fun and interesting projects created by their users. For example, a garage door that opens with your fingerprint or a robotic dancing teapot. 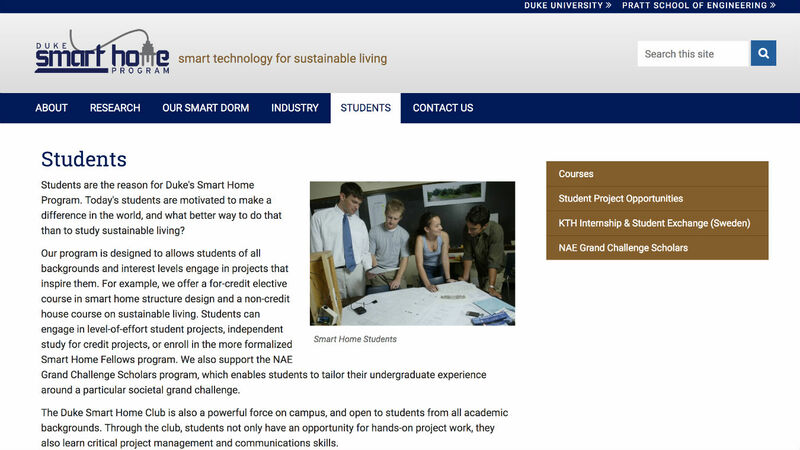 The Duke Pratt School Of Engineering is among one of the most expansive research centers involved in smart home technology. They have many interesting ongoing projects in the area of sustainable living and IoT. They also have a complete smart dorm setup that includes smart appliances, research rooms, and solar collection systems. 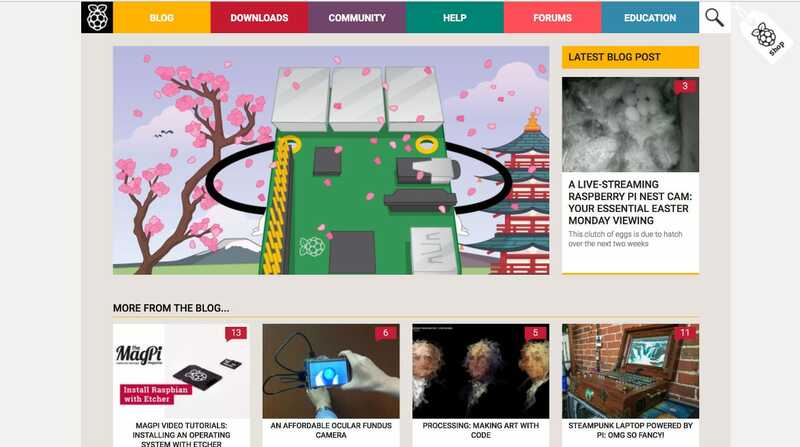 Raspberry Pi is a small inexpensive computer used in many smart home projects. It runs on the free open source Linux operating system. It is technically listed as a charity and one of their main goals is to teach children how to program. There are many very cool and unique smart home projects highlighted on their blog. For example, one very enthusiastic Legend of Zelda fan created a smart home that responds to ocarina commands from the Ocarina of Time Nintendo 64 classic. IFTTT is the backbone of many smart home automation routines. 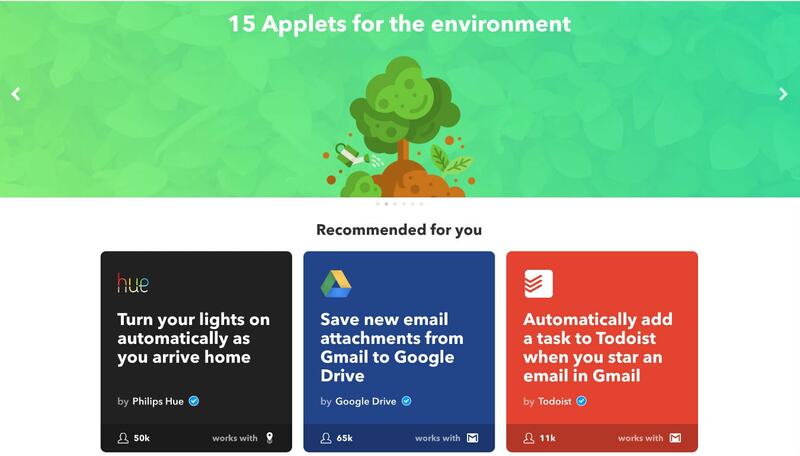 At its core, IFTTT allows you to connect a huge variety of software applications together. I personally have IFTTT configured to send to do items from my Amazon Echo over to Omni Focus, my GTD productivity app. Like I said there are many systems you can link together with their easy to use interface including but not limited to, Amazon Echo, Google Home, Ring Smart Door Bell, August Smart Lock, Google Calendar, Hue Smart Lights, Gmail, Todoist, Harmony Hub, iPhone, Android, etc, etc, etc. 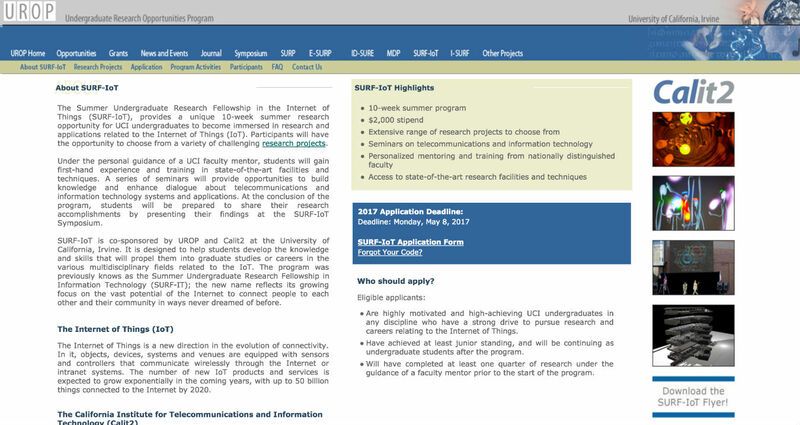 The University of California Irvine which is located in the heart what many consider Southern California's silicon valley, offers a fantastic undergrad IoT summer program. The program has evolved over the years to focus on the Internet of Things research and development as the vast potential of personal connected systems has skyrocketed. 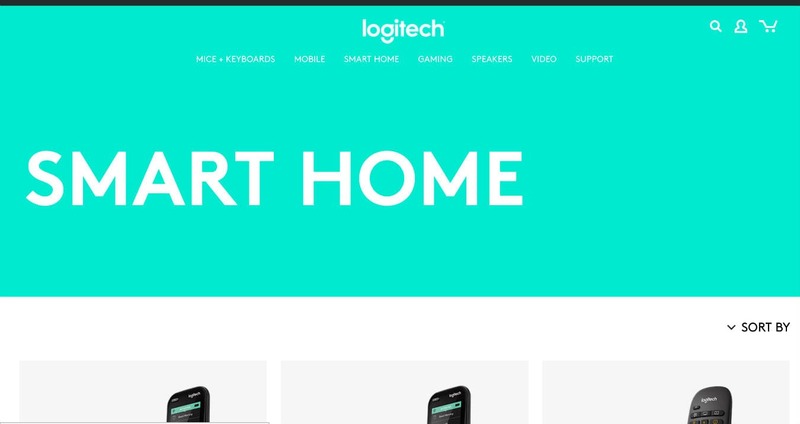 Logitech electronics has many great smart home devices. For example, the Harmony hub which is the only way at the moment to control your TV with the Amazon Echo voice assistant. They also have the pop button that you can setup to control many smart home functions with one press. They are continuing to create and innovate many new products in the space. 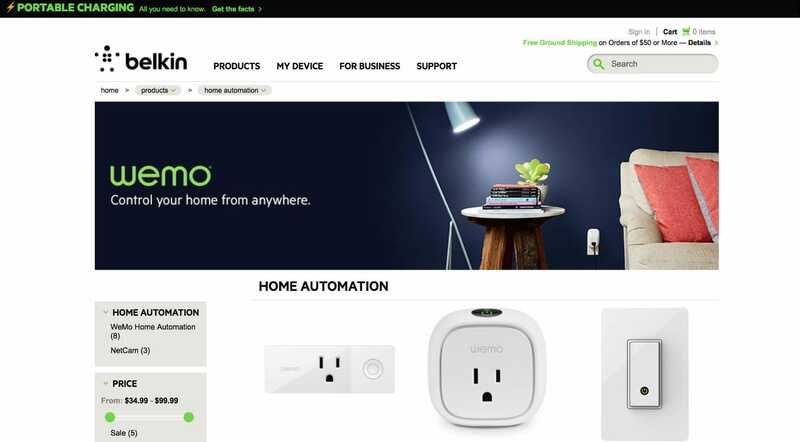 Belkin is best known in the smart home space for its Wemo smart plugs. This is the first smart home device that I personally purchased and I have many of them throughout my house. They have also expanded into smart lights and Wi-Fi cameras. If you are the creative type you can also check out the Wemo maker which allows you to add smart home functionality into everyday devices like coffee makers. 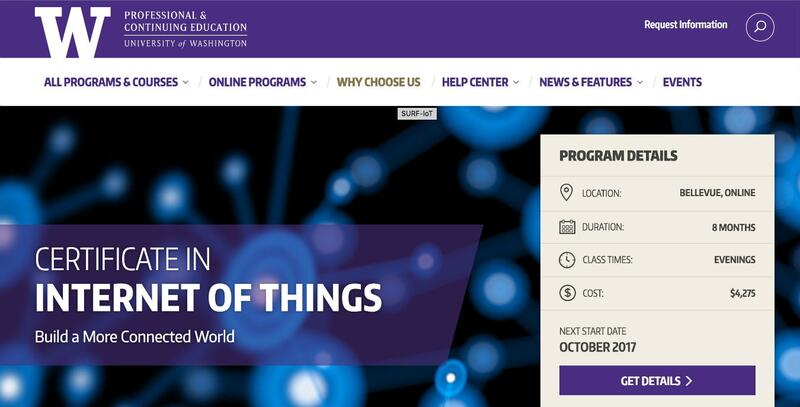 The University Of Washington's continuing education division offers an IoT certification. This is great for professionals who want to get into the Internet of Things but have limited time. The program is headed by Stephen Dame who is a 35-year hardware and software veteran. In the sessions, you learn how to code for Raspberry Pi, interacting with the cloud, and how to work with sensor data. Sonos is the Wi-Fi speaker system that took the smart home community by storm. Wi-Fi, as opposed to Bluetooth, allows for pure whole home audio in perfect sync in every room. They continue to innovate (like it's new Playbase speaker pictured above). Soon you will be able to control the system with your voice using personal assistants like the Amazon Echo and Google Home. 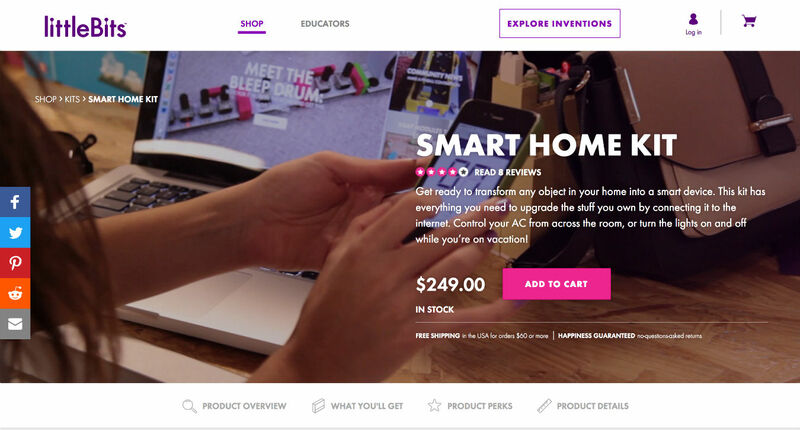 littlebits is an IoT inventors dream. With many little components like light sensors, cloud connectors, and sound triggers you can create some really cool smart home projects. You can come up with your own inventions or use one of the thousands of pre-configured plans from their site. Some of these projects include a remote cat feeder, coffee maker control, and a doorbell answering machine. 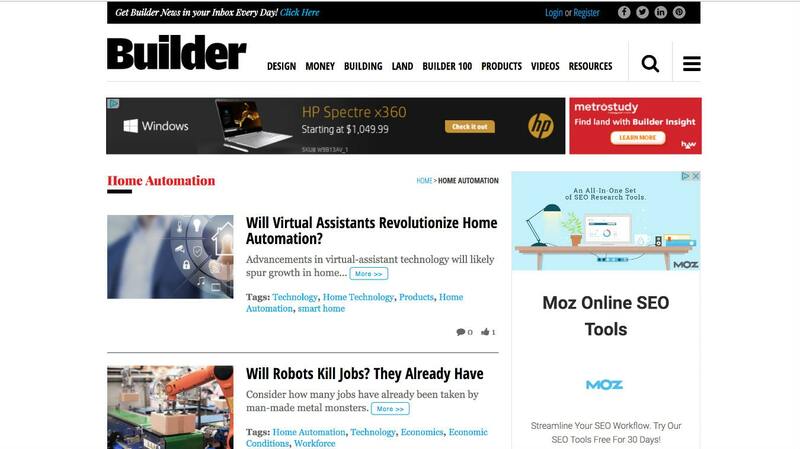 Builder.com puts the "Home" in "Smart Home". They are an industry website that covers many topics for home building professionals. 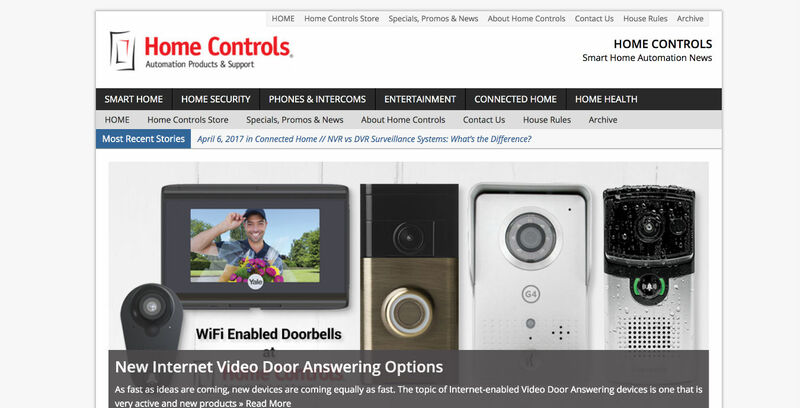 They have a great section on smart home news and I visit there quite frequently. 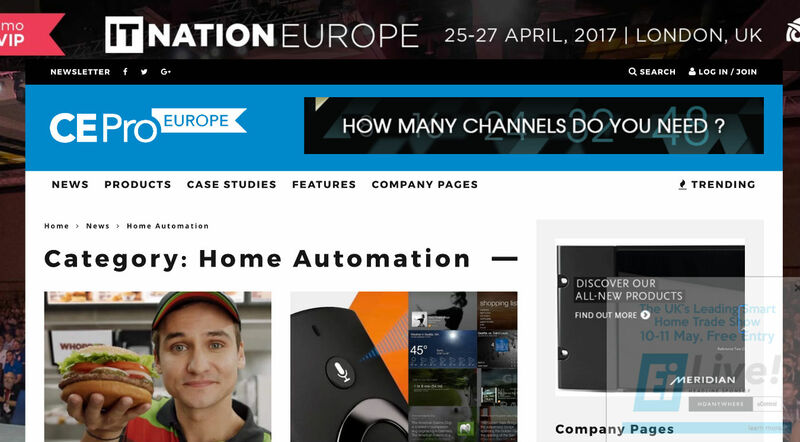 They collect the best articles and stories related to home automation from around the web and also create their own original content. 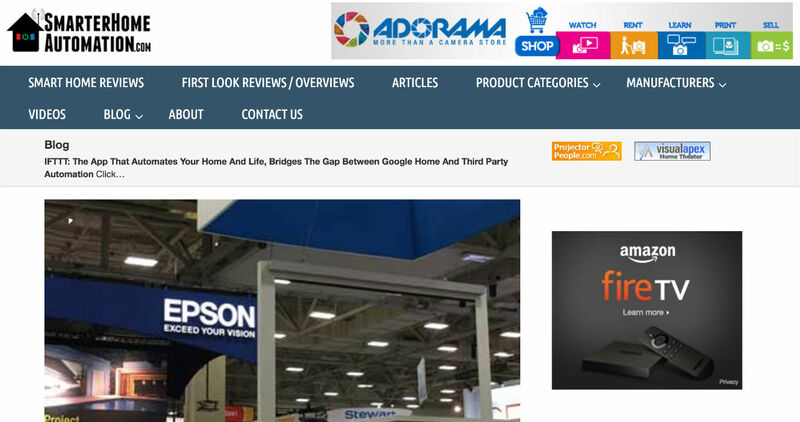 If you want a quick overview of what is currently going on in the industry I highly recommend that you visit their smart home section. Devry has been in the technology education space for as long as I can remember. They are continuing to offer up to date programs which now include IoT and advanced networking. Their current program offering includes instruction on Raspberry Pi, Arduino, and cisco networking technology. Crestron has been designing and manufacturing simple to advanced home automation devices and equipment for over 20 years. Their products include automated light switch dimmers and beautiful color matched automatic shades. Tp-Link makes some of the best smart lights and smart home plugs in the business. Their innovative light design requires no extra hub and is the future of smart lighting. Their products are also reasonably priced and work well with the 2 major personal assistants, Google Home and Amazon Echo. 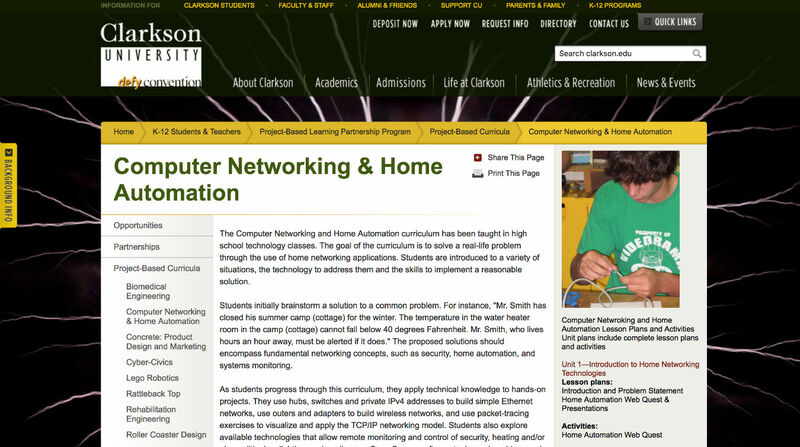 Clarkson is a nationally ranked research university that offers network and IoT courses for its K-12 students. They teach hands-on programs designed to teach students basic network technology. They also solve real-world problems by using home automation and system monitoring methods. Lutron literally invented the home dimmer. 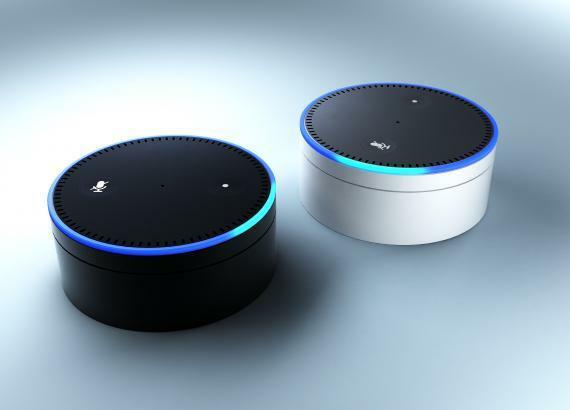 They continue to innovate today with products that connect to smart home hubs and voice integrated products like the Google Home and Amazon Echo. ​Another one of their great products is the Caseta line of smart window shades. You can control them with voice, smart watch or smart hub like SmartThings. You can create some really fantastic routines that make your life easier and better with Lutron products. SmartThings, owned by Samsung allows you to connect multiple smart home devices together to create routines. For example, you could create a good morning routine that triggers your alarm, turns on your coffee maker, and turns on your lights. SmartThings advantage is that it runs locally on your home network so it is faster than some of the cloud-based solutions. They have a growing community where you can get ideas and come up with solutions for your home automation needs. Nine out of ten homes in the United States use products made by Leviton. They have been making smart home devices for years and they continue to evolve and innovate in the home automation space. They offer many smart home lighting solutions and remote on/off switches. Control4 offers whole home, automation systems. They take the difficulty out of setting up your smart home with professional installation technicians. They will advise and guide you to choose the components you want and need for lighting, audio video, energy, and security automation. Then they will install and support all of the new tech in your smart home. Philips Hue is the gold standard when it comes to smart home colored lighting. They have many products including smart lights, light strips, and the Hue Bloom which is a stand alone light that you can put anywhere in your home or patio. They have been around for years and they have support in the form of multiple apps that have been developed for the system. 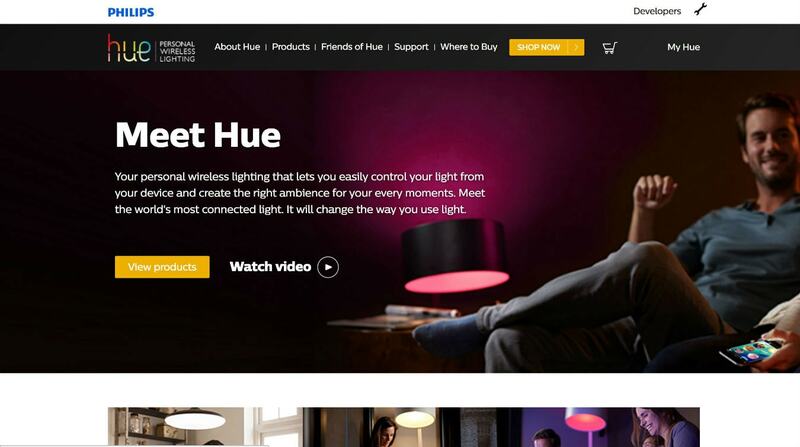 For example, Hue Camera will allow you to sync your lights to a movie by using your smartphone camera. 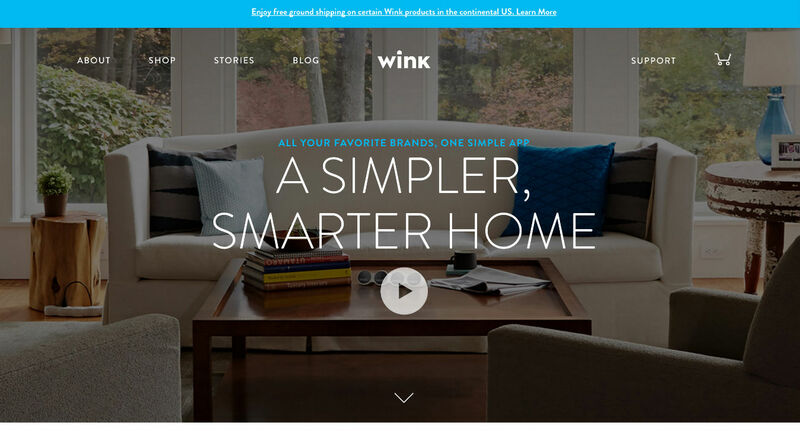 Wink, best known for its smart home hub allows you to connect and create routines for hundreds of smart home devices. They also have the Wink Relay, a really cool touchscreen control for your smart home that attaches to an existing light switch. On their blog, they give you up to date information on everything Wink related. They also give tips and ways to better use your Wink hub. 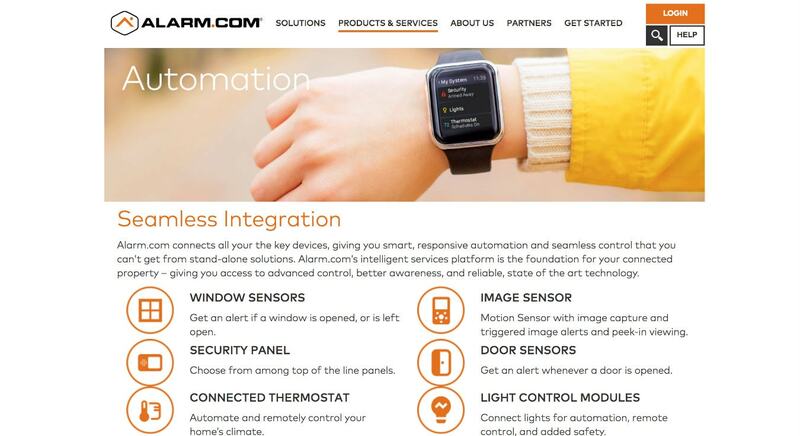 Alarm.com is a pioneer in the smart home security space. They were the first to create a smart home app for the Apple watch for example. The company installs and monitors smart home security systems. 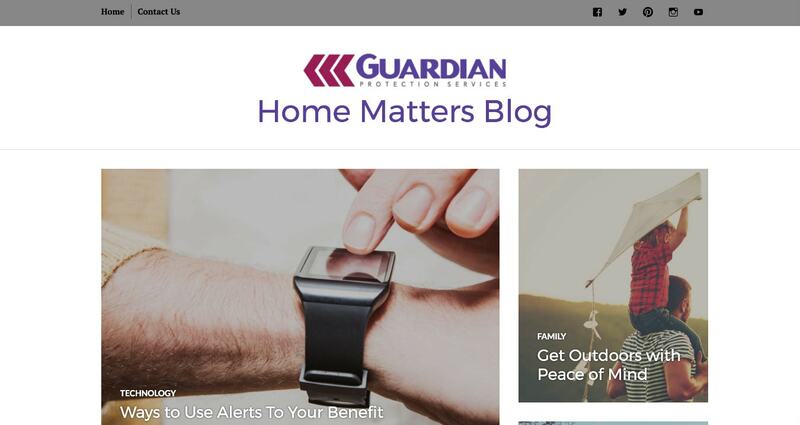 On their blog, you can find information on how to keep your family safe and secure using the latest technology. Electronic House is the go-to place for all things smart home related. They have up to date news and information on home electronics. My favorite section is the "Home Of The Week" where they feature some really beautiful houses loaded with smart home tech. You can also find the latest products and happenings in the industry. 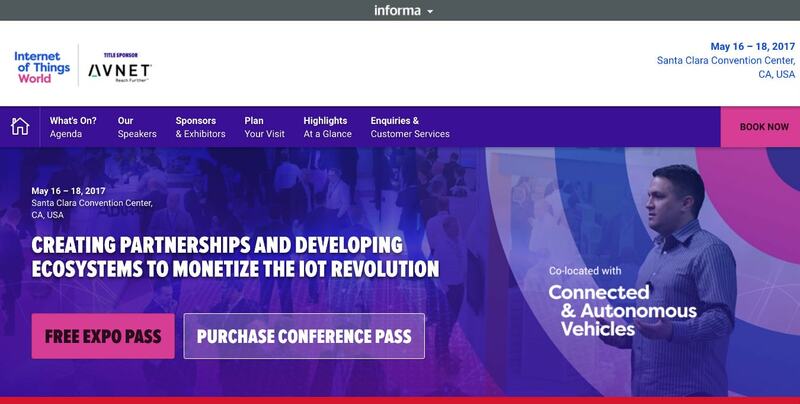 Bosch is a leading IoT software and cloud company. 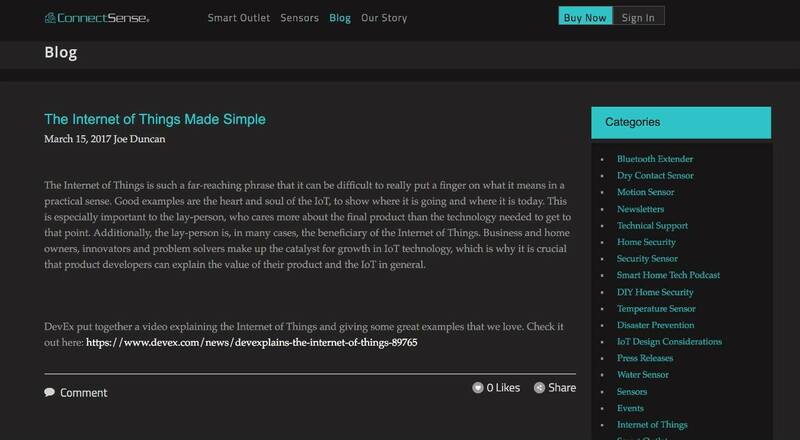 They cover many industry topics on their blog from expert authors that are entrenched in the IoT industry. If you want high-level industry news then I highly recommend this blog. They cover how IoT is affecting every level of our culture from home to work to school. August is the inventor of the innovative smart deadbolt controller. You attach it to an existing door lock and you can control entry into your home with your smartphone or voice assisted device. They have extended their product mix to include a smart doorbell that has been highly rated by such publications as Fortune Magazine. 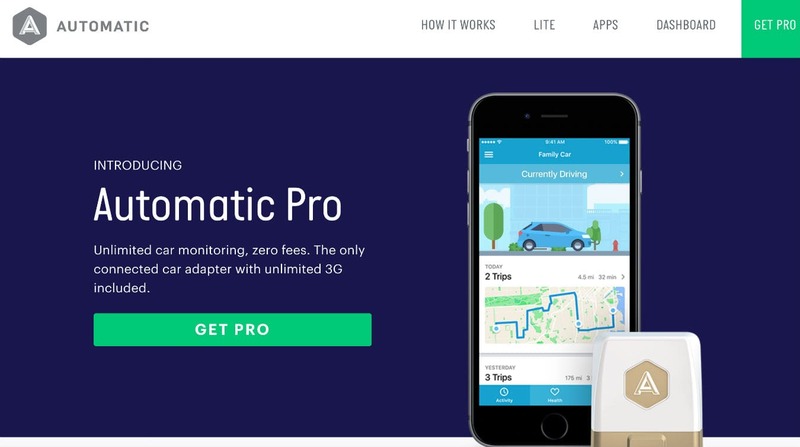 Automatic is a smart adapter that turns your car into a connected car. You can do some really cool things with it like ask your Amazon Echo how much gas is in your car and track where your car is currently located (very handy if you have teen drivers). It also offers advanced safety features to your vehicle in the form of crash alert where it will contact the authorities if it detects that your car has been in an accident. Smarthome.com is a smart home mega store where you can find anything and everything smart home related. From hubs to door locks to smart thermostats and security systems they have you covered. They also have a really great "Getting Started" section that explains and lays out all of the different smart home components and gives you an idea of where the components might be useful. 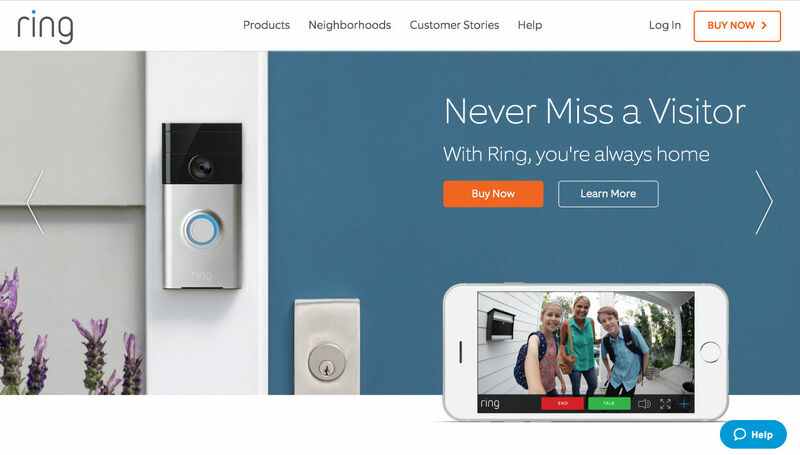 Ring is the amazingly popular smart home video doorbell that has reduced the crime rate in neighborhoods all around the country. It is really simple to install and gives you the ability to keep a close watch on your home from your smartphone. They also have remote cameras and have recently come out with solar panels that attach to your Ring so it will always work even in the event of a power outage. 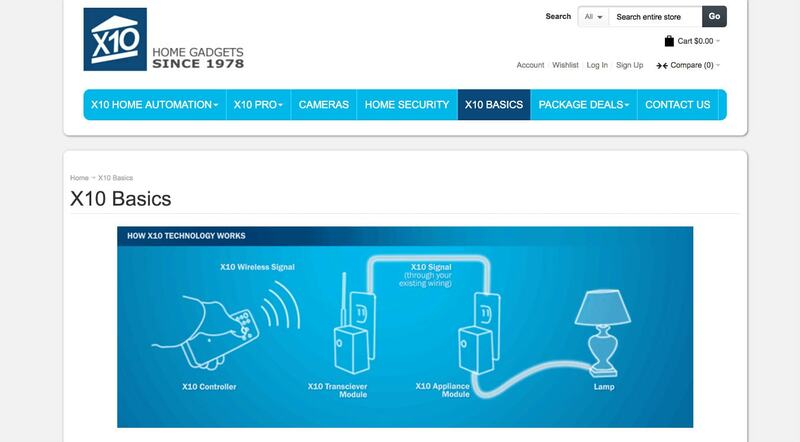 X10 is a smart home automation protocol that uses your existing home wiring to communicate between devices (there is also a wireless version). It has been in use for over 20 years and has millions of users. X10.com is an X10 device megastore. They have every kind of controller and kit that you would want or need for this time-proven, reliable smart home setup. 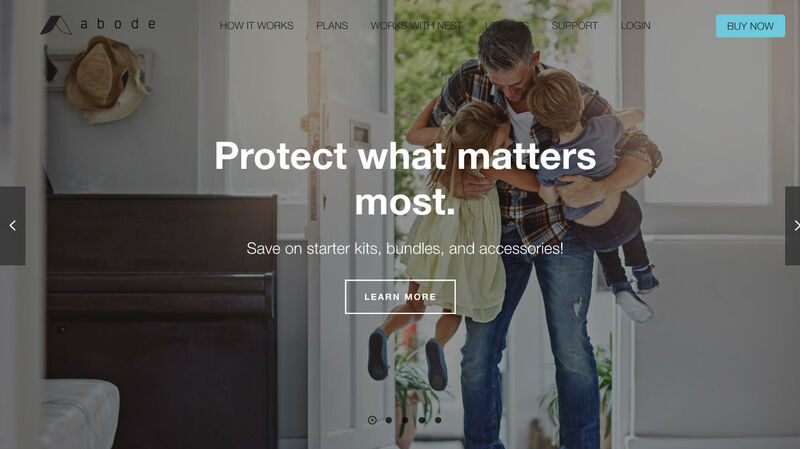 Vivint is a security company that offers a really fantastic smart home package. Their setup includes indoor/outdoor security cameras, a doorbell camera, smart thermostat, and garage door control. It's all professionally installed and setup so you don't have to worry about your devices working together. 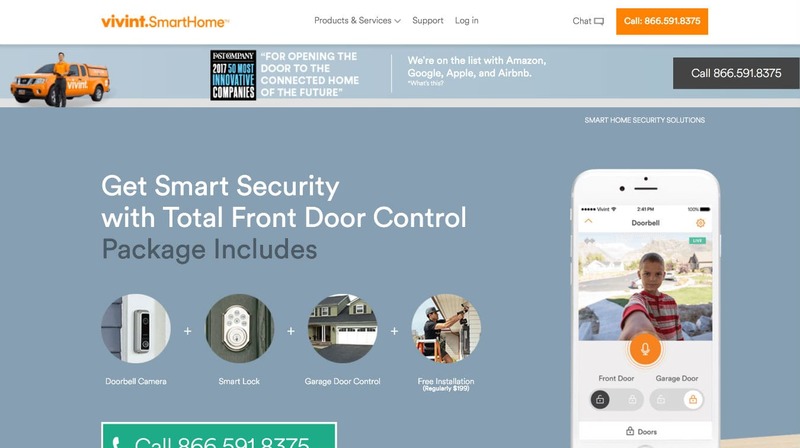 It's all tied together with their really great Vivint smart home app. This is the best solution for someone who wants all the comfort and safety that a smart home has to offer but doesn't want to set it up themselves. Canary is leading the charge in the smart home security camera space. Their innovative indoor camera is equipped with a 1080p hi-def camera, an emergency siren and also an air monitor. They also have a really great weatherproof outdoor security camera. 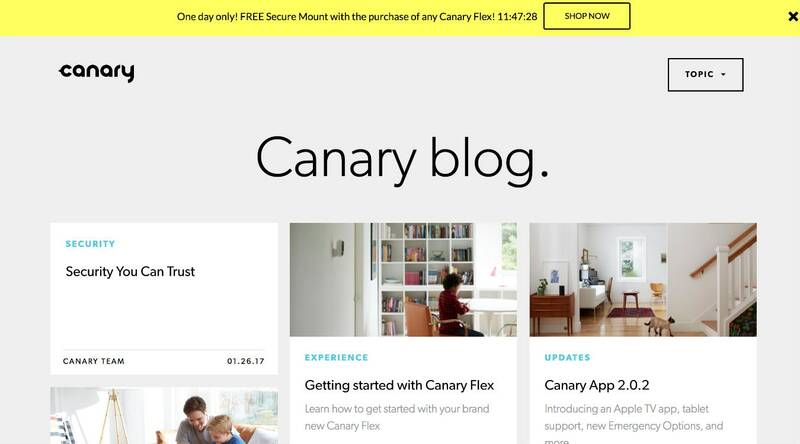 On their blog, you will find up to date company information along with updates and useful information for Canary users. 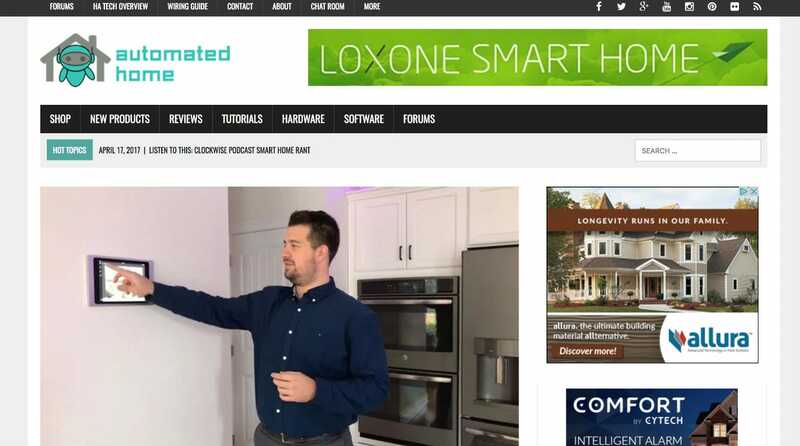 Loxone offers a complete solution smart home automation system. Based on its innovative Loxone mini server, you can have all the comfort, security and convenience of a smart home professionally installed for you. On their blog, you will find updated information on new and existing products. 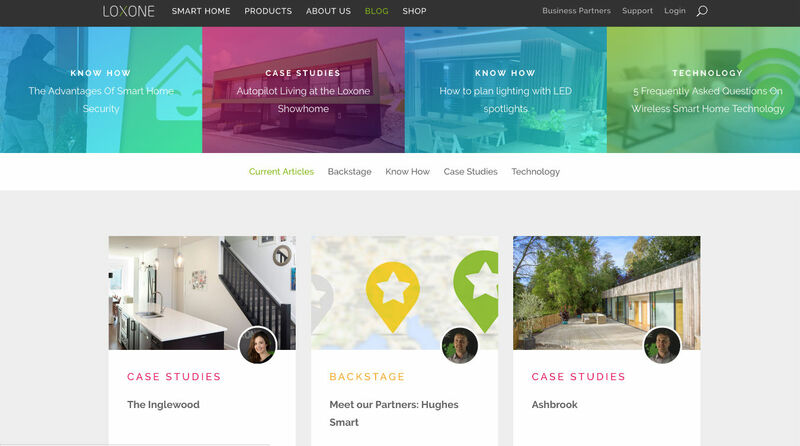 I personally really liked the "Case Studies" section where they show off some of their tech in existing homes. Safewise is a really great comparison engine dedicated to home security systems. With their expert knowledge and experience, they help people choose the right security system for their needs. They also break down all of the smart home components that come with some of the more modern systems. Things like smart door locks and thermostats. If you're in the market for a security system I highly recommend that you check them out. Ecobee is an innovative smart thermostat that gives you precise control over the temperature in your home. With its one of a kind room sensors, the Ecobee knows what room you're in and adjusts the temperature accordingly. 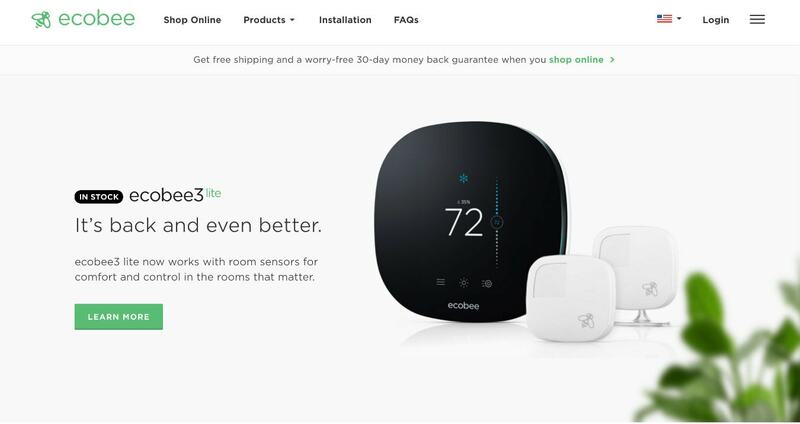 On their blog, you'll find great case studies and product update information (like the fact that the Ecobee now works with Keen smart vents. WooHoo!). 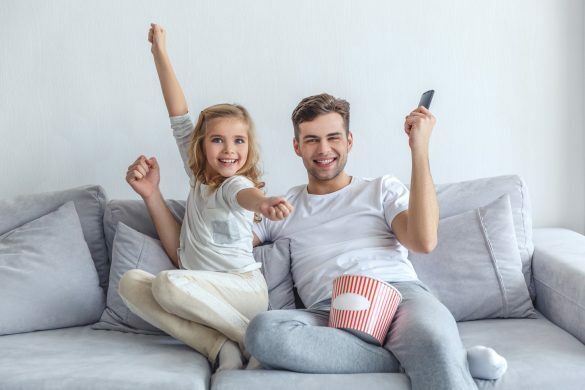 At its heart, All Connect is a home utility comparison engine that takes the hassle and stress out of finding the best phone, Internet, television and security systems for your home. 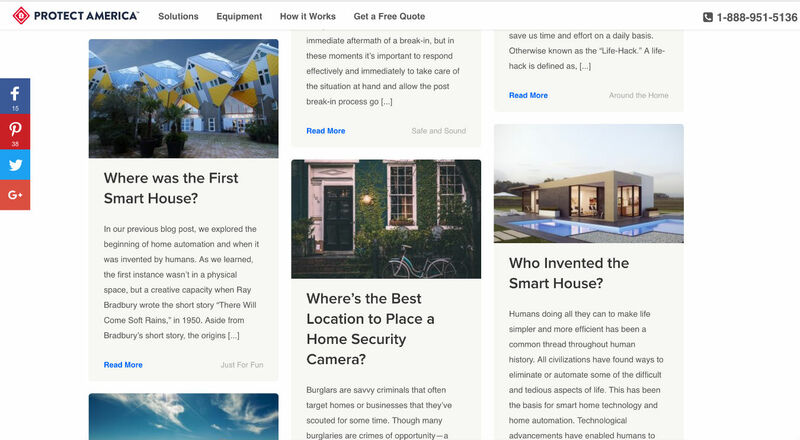 They also have a lot of really great smart home articles. Some of their recent posts include the best smart home apps for iPhone and apartment security tips for students. 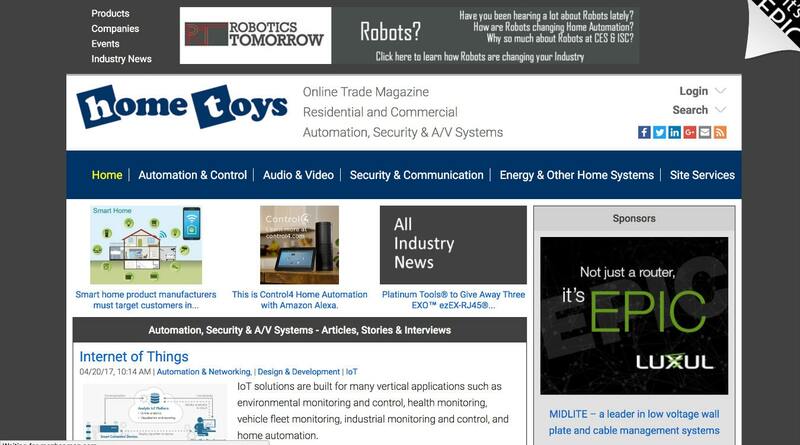 Home Toys is a really great online trade magazine dedicated to automation, security and audio video systems. If you are in the industry, Home Toys is an absolute must read. If you aren't in the industry, they still have a lot of really informative content that they gather from the web relating to all the latest in smart home automation. Highly recommended! 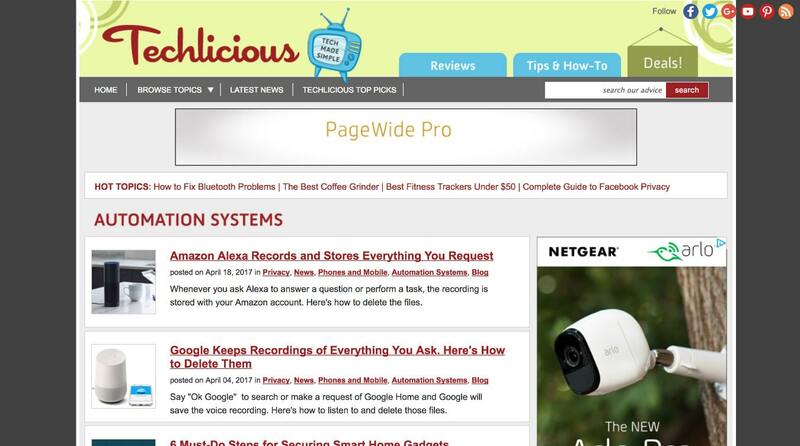 Techlicious is a fantastic technology focused site that has a lot of really awesome smart home content. I go there quite frequently to get tips and tricks along with keeping up with the latest industry news. Some of their recent posts include, how to delete recordings from Alexa and Google home and 6 ways to secure your smart home gadgets. 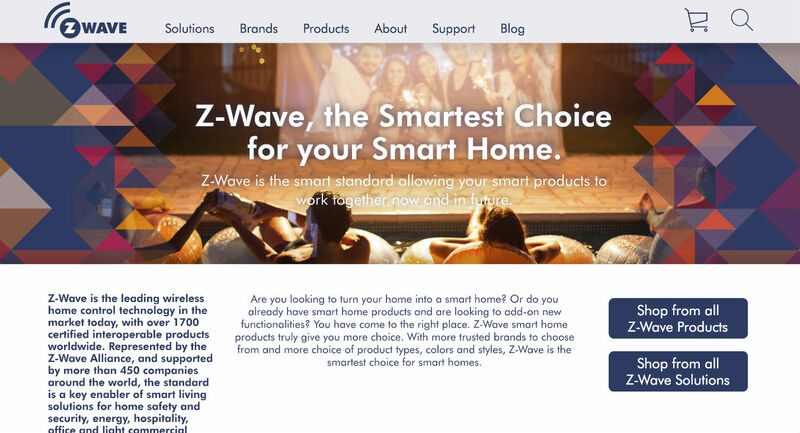 Z-Wave is an industry-leading radio frequency technology that is installed in over 50 million smart home devices. 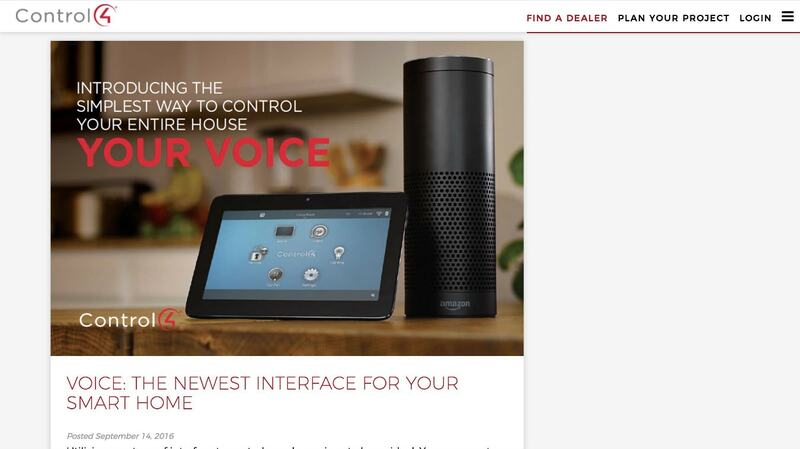 It allows you to communicate with many home automation products through your computer, smartphone, tablet or Amazon Echo. 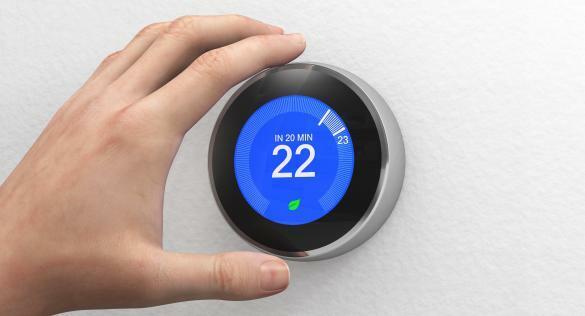 They have many very useful articles on their blog including "The Renters Guide To A Z-Wave Smart Home" and "3 Smart Home Projects To Work On This Spring". 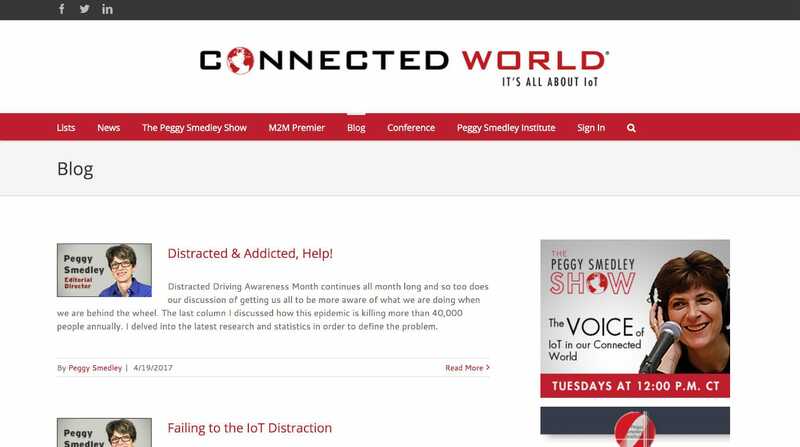 Peggy Smedley is the editorial director at Connected World. Peggy is a thought leader who is deeply involved in the professional IoT community. Her podcast "The Peggy Smedley Show" airs every Tuesday. She covers many topics including self-driving cars, smart cities, and IoT and it's effect on the health care industry. Her podcast is THE place for all the latest IoT happenings and I highly recommend it. 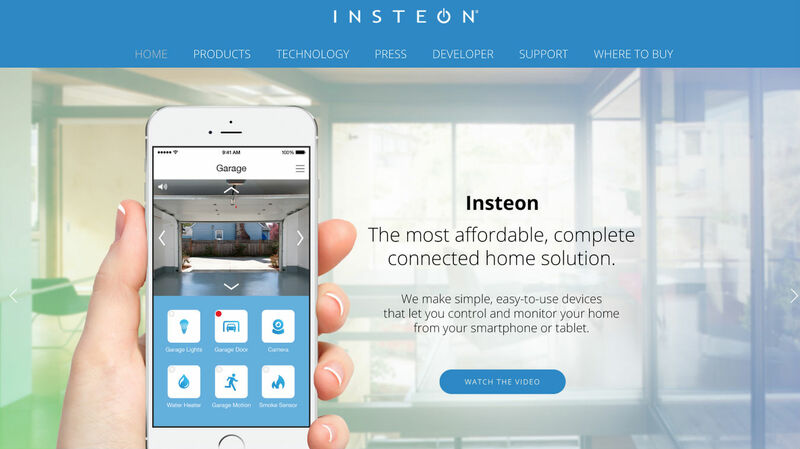 Insteon is an easy to install suite of smart home automation products. They have many components including smart lights, plugs and door sensors. Their kit is a quick and easy way to get up and running with your smart home. 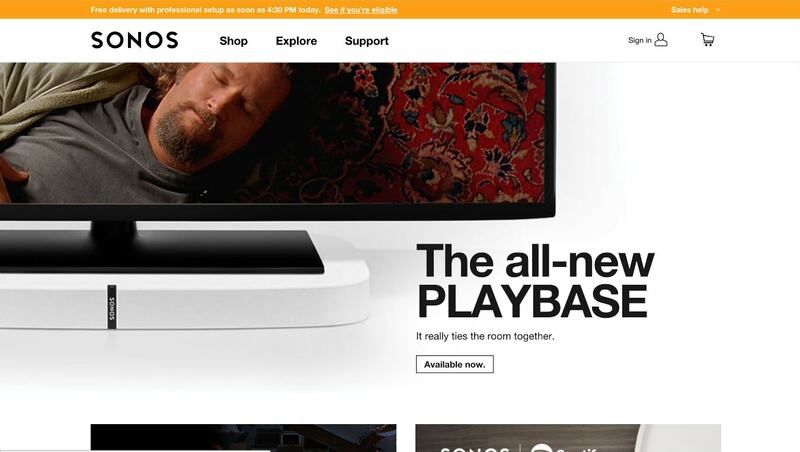 Recently they added the ability to connect their products with the Sonos whole-home audio system. Some of their latest products include and plug in siren and a really cool free moving motion sensor light. Church Mag has a unique take on technology. 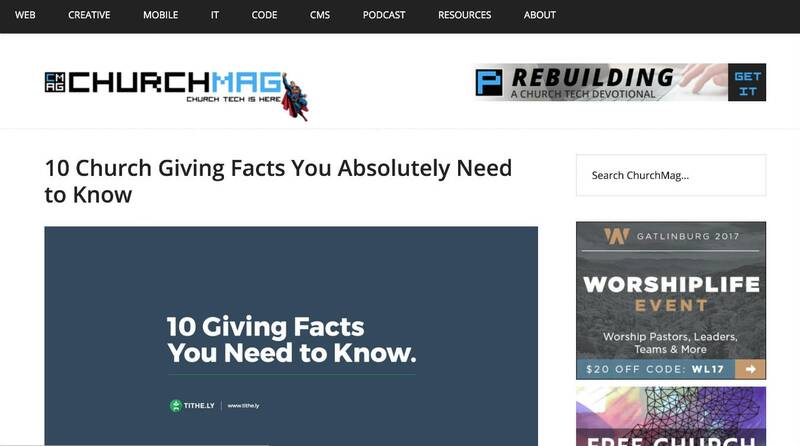 Their mission is to provide churches, ministries, and non-profits with timely, relevant tech related information to help them fulfill their mission in the world. Their site has grown to reach millions of people each year. They also have a popular podcast that covers topics such as dealing with kids and technology, upgrading old tech, and gaining followers for your church through social media. Lifx is the inventor of the revolutionary, no hub required, smart light suite of products. Their flagship light has millions of colors and is brighter than the competition. They also have a really great light strip that comes with multiple zones which allow you to shine several different colors from one strip. On their site, you will find up to date product information and case studies of some of the really cool things you can do with the Lifx lights. For example, extending the night vision of Nest security cameras with Lifx infrared bulbs. 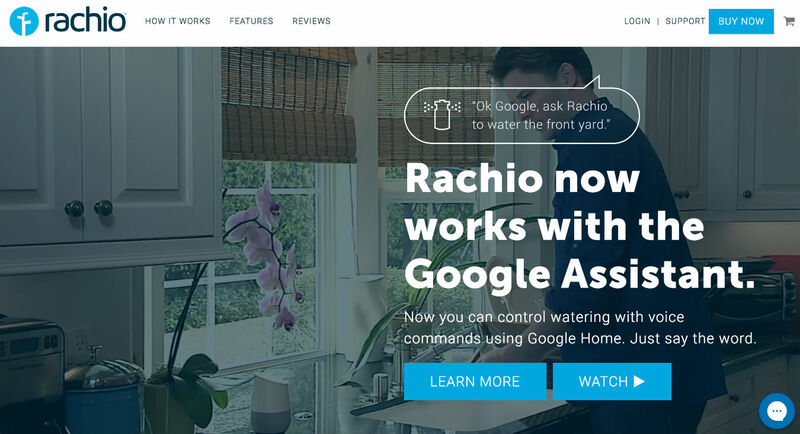 Rachio is the popular smart sprinkler controller that connects to your smartphone, Amazon Echo or Google Home. You can set schedules or manually turn on the sprinklers with your voices via the smart speakers. Since it's connected to your smart home, it knows if it's raining and will adjust the watering scheduling automatically. Very cool! 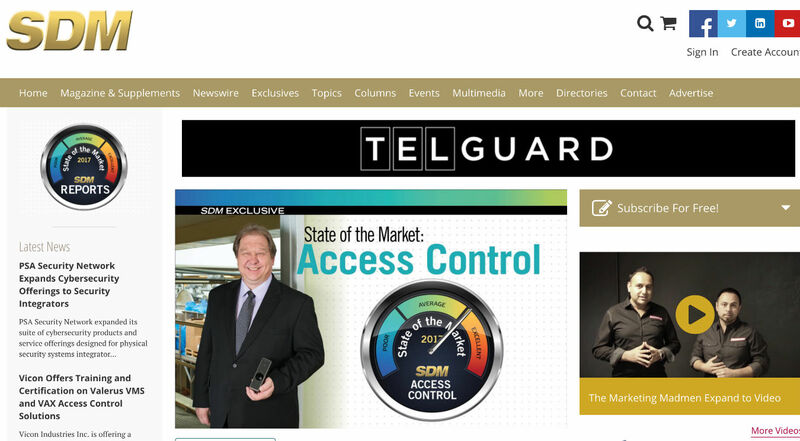 Security Sales & Integration is an industry-leading print and digital publication geared toward executive, sales and technical professionals in the electronic security equipment space. They have been publishing great information since 1979. 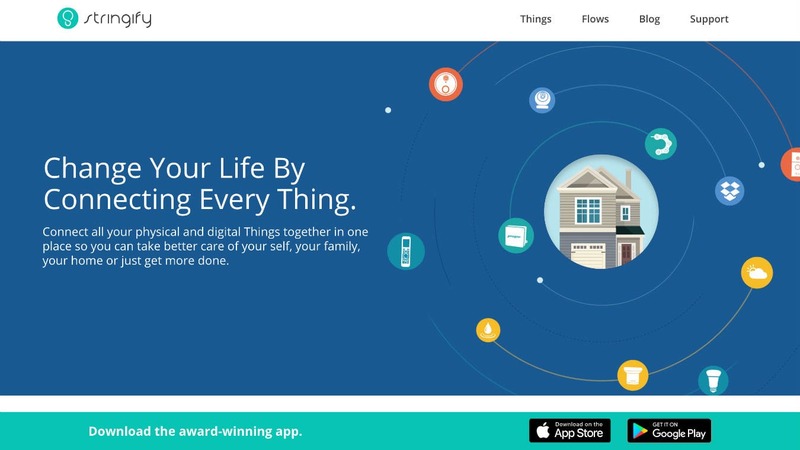 They have a lot of really fantastic content centered around the smart home. Some of their popular articles include, Z-Wave certified IoT security and August smart locks for professionals. 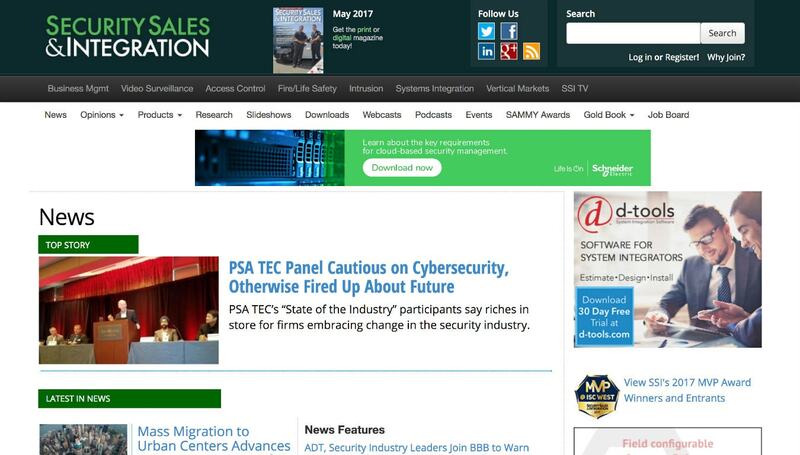 Security, Distribution, & Marketing (SDM) Magazine is a great industry source for professionals in the security marketplace. They also maintain one of the largest databases for security monitoring and central station services, distribution, and buyers guides. On their site, you will also find industry news and information. Some recent posts include the state of the market, wireless camera reports, and operational software trends. 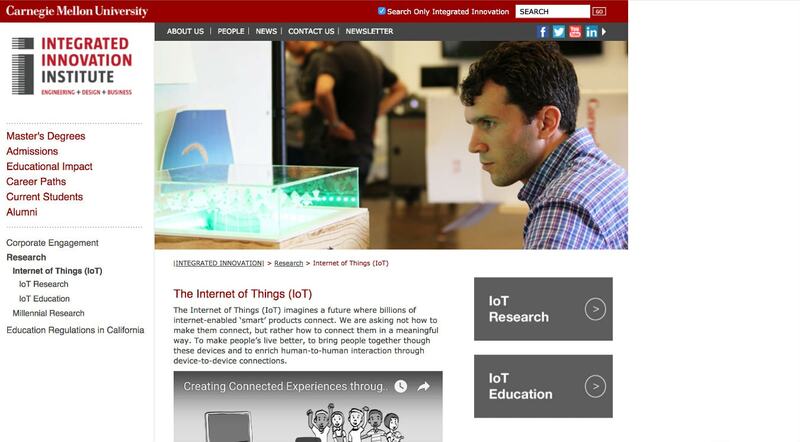 The Internet of Things Institute runs a highly informative and entertaining website dedicated to all things IoT. 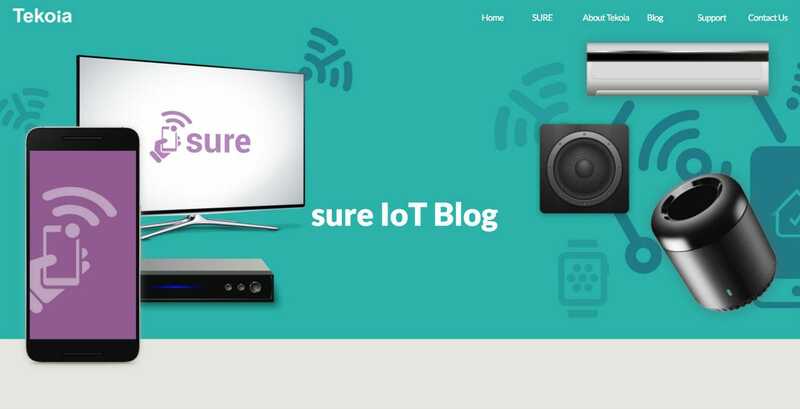 They also run one of the world's largest IoT conferences, IoT Emerge. 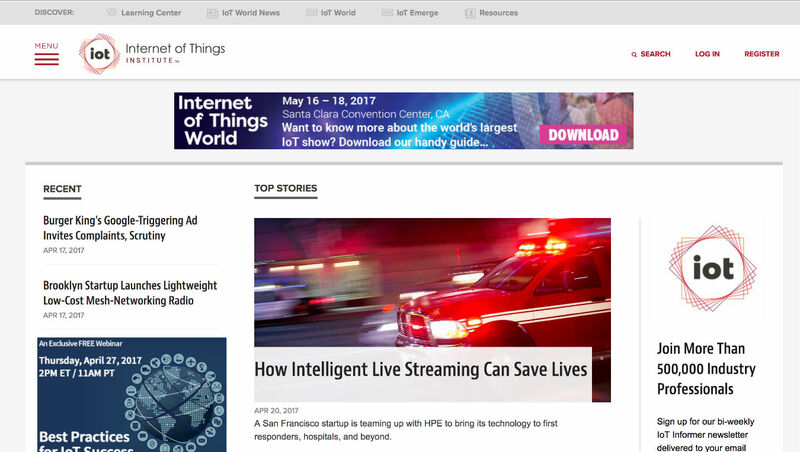 They have a lot of really great articles on their site including, "How intelligent live streaming can save lives" and "Can IoT hacks lead to a planet of the ape's scenario"? 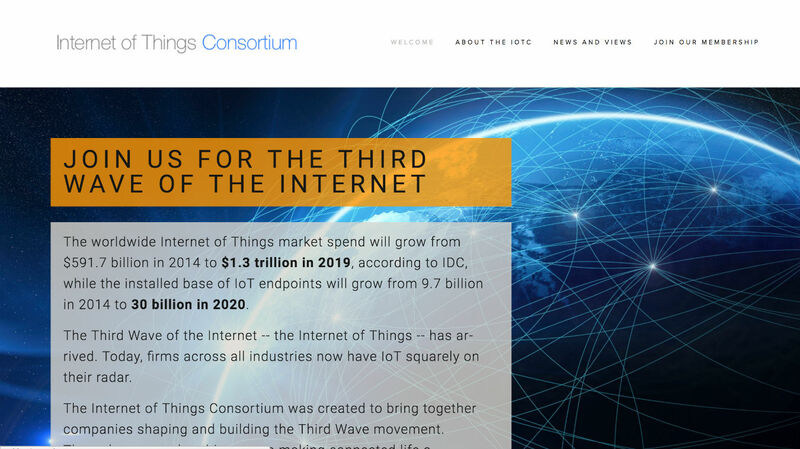 The Internet of Things Consortium is a global trade association that has such high-end members as Verizon, Belkin, and ABC Television. 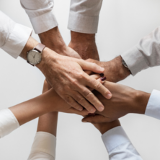 Their mission is to foster collaboration among leading companies and to educate consumers on the uses and benefits of IoT devices and software. 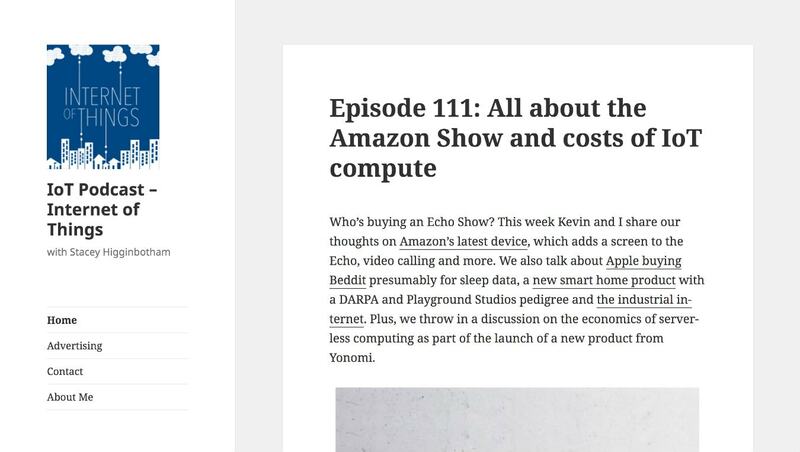 On their site, you will find news and information along with interviews with leading IoT professionals. 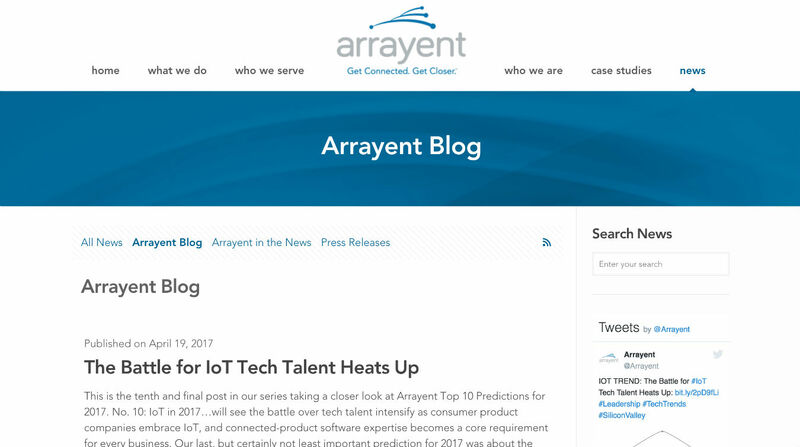 Arrayent is an Internet of Things cloud computing company that services major brands such as Chamberlain, Maytag, and Whirlpool. On their blog, you can find industry news and information. Recent Popular posts include, How IoT is reshaping the retail shopping experience, IoT business models, and the battle for IoT top talent. Protect America is one of the nation's top security companies with over half a million installs. With their smart connect system they allow you to remotely administer and monitor your home security system. On their blog, you can find the latest information on home security and smart home related topics. Some of their recent posts include avoiding door to door scams and an inside view of the new Echo Look. 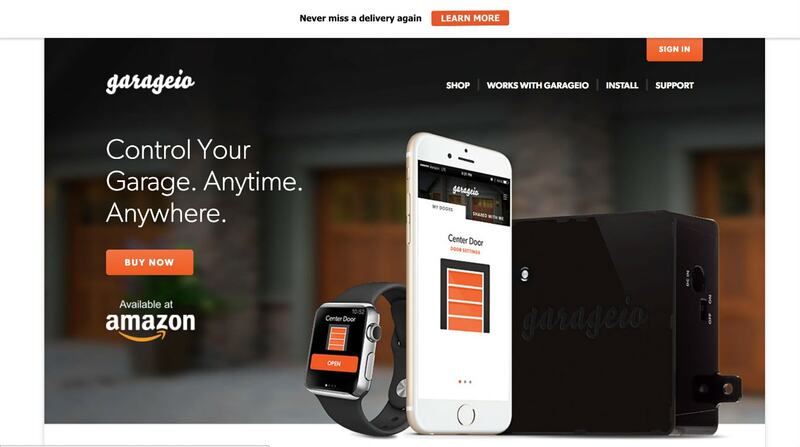 Garageio is the amazing Wi-Fi garage door opener that connects to your smart home. You can remotely open your garage door from where ever you are and setup routines to make sure that the door is shut when you're not home. Another really cool thing you can do with Garageio is let a package delivery person in your garage to drop off a package. After they leave the door shuts and you never have to worry about your packages getting stolen again. 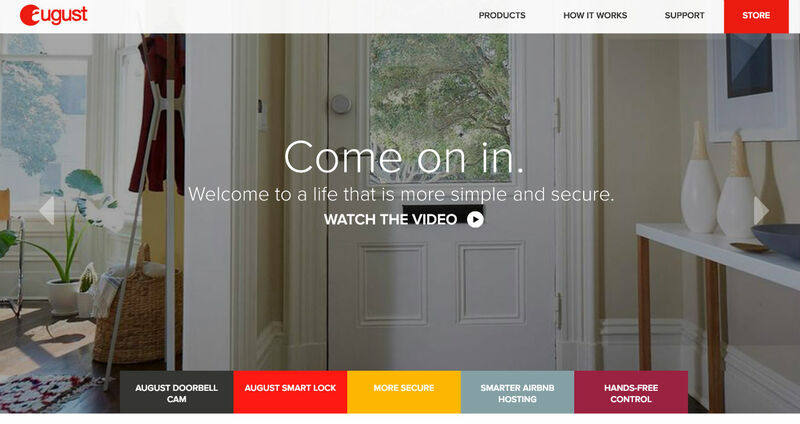 Moni is a smart security company who offers a really nice smart home package. Their comprehensive install includes award-winning 24/7 monitoring along with smart lights, door locks, a garage entry system, and a smart thermostat. You can monitor and control the entire system with your smartphone or an Amazon Echo. They also offer professional installation so you don't have to figure out how to integrate all the smart home tech yourself. 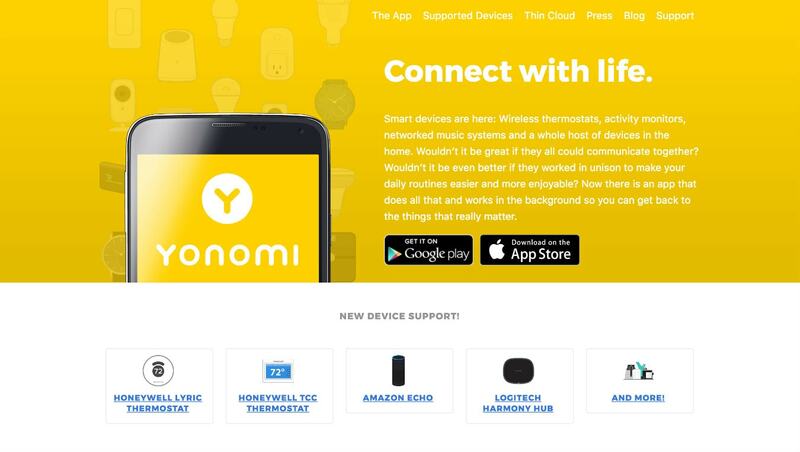 Yonomi is the amazing cloud based app that allows you to create routines for your smart home. I personally have a few routines setup in my home. My favorite is movie time where it turns on my tv, switches it to Netflix, turns off my lights and turns on the light strip I have on the back of my tv and sets it to 20% dim. 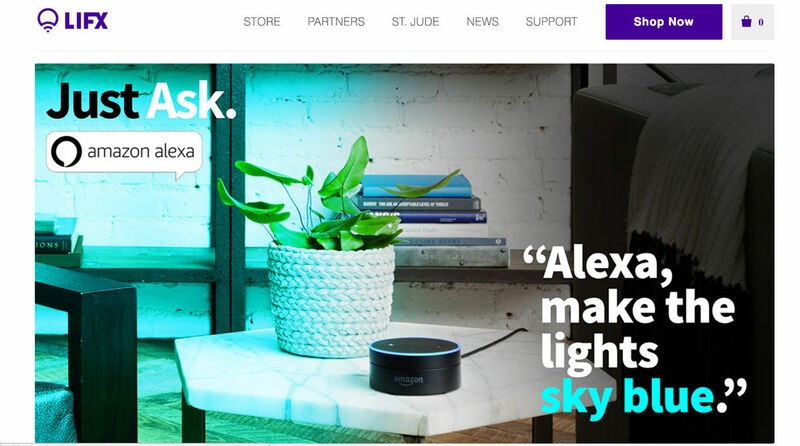 They currently work with many popular smart home devices like the Amazon Echo, Harmony hub, and Philips Hue lights with many more coming online soon. I personally love the IoT podcast from Stacey Higginbotham. I listen to it every time there's an episode to keep up to date with all the happenings in the IoT and smart home world. Her co-host, Kevin Tofel, also has a lot of really great insights. Their conversations are always informative and offer advice from people who work in the industry and also use this technology in their own homes every day. Highly recommended! Stringify is a very awesome iPhone (and now Android) app that allows to setup and run a string of smart home commands that they call "Flows". I wrote about Stringify a while back in my article on IFTTT ﻿﻿﻿alternatives and it's only gotten better since then. What's great about Stringify is that it allows for multiple steps instead of just one at a time. On their site, you can find some already configured "Flows" that allow you to do everything from waking up in a good mood to setting up a movie night with Alexa. Highly recommended! 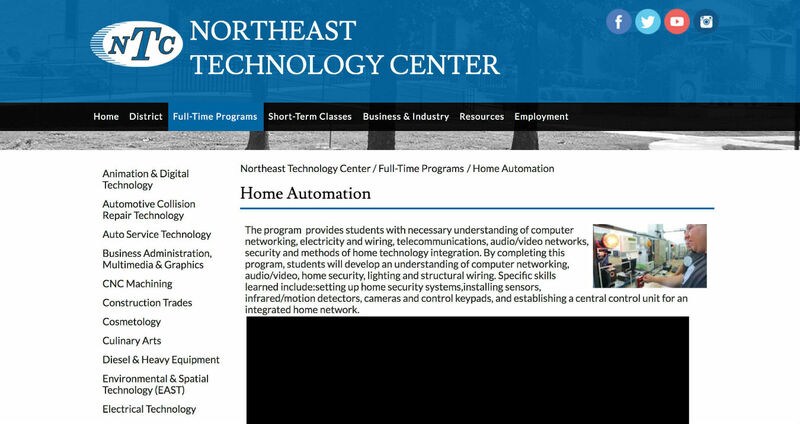 The Northeast Technology Center offers a full-time home automation program. They teach you the basics along with wiring, security, computer networking and methods of home technology integration. Installing and maintaining smart home technology is a growing field. Programs like the one at NTC are leading the way in education and training for this new exciting profession. 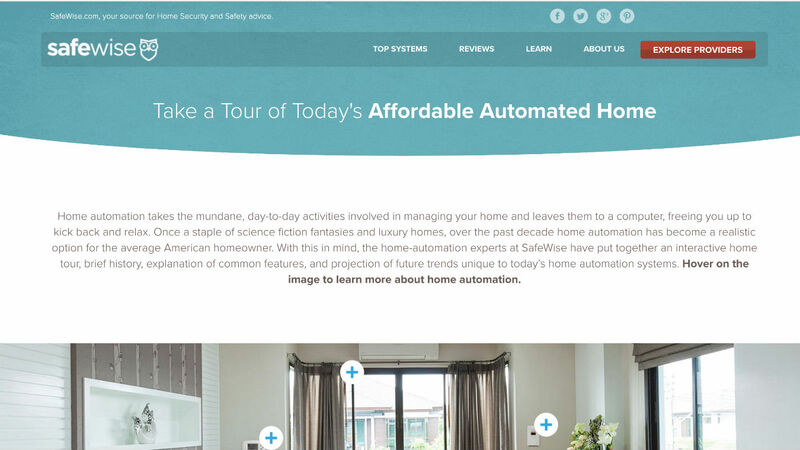 Automated home is a great source for smart home news, information, and tutorials. 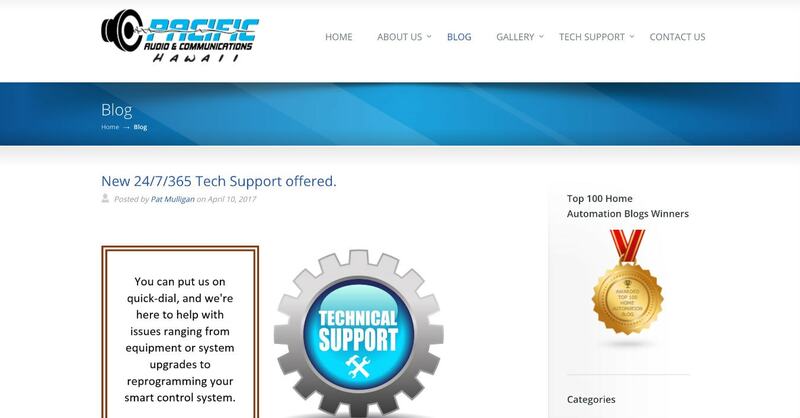 It is regularly updated with the latest happenings in the automated tech space. 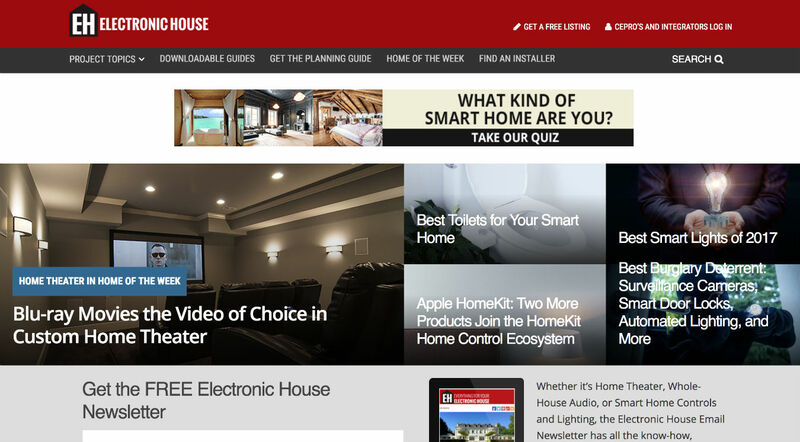 Some of their latest posts include a 25-minute tour of a Luxone smart home, a day with the Tesla Model S, and 7 need to knows when designing your smart home. Highly recommended! Founded back in 1950, Guardian is the nation's largest privately held security company. Although they are a large company, they pride themselves on extending a personal touch to all their customers. They have evolved over the years to include some really great smart home tech in their security packages. On their blog, you will find really great content on keeping you and your family secure along with lots of useful information on using home automation with your security system. Securifi is the company behind the innovative Almond and Almond+ WiFi router and range extender line of products. What makes the Almond unique is its easy to use touch screen that allows for quick home network setup that doesn't require a computer. They are at the forefront of IoT network security. 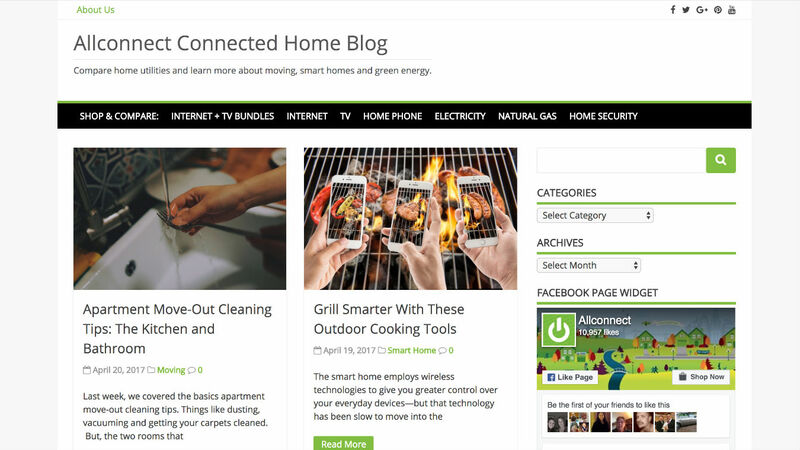 On their blog, you find great articles on industry news and events along with useful tutorials on smart home network security and setup. Home Assistant is the brilliant open source home automation software that allows you to control your smart home within an easy to use interface. It is extremely customizable and if you have some coding skills, you can do just about anything you want with this platform. They have a really great user community that is there to help and support you with any of your projects. 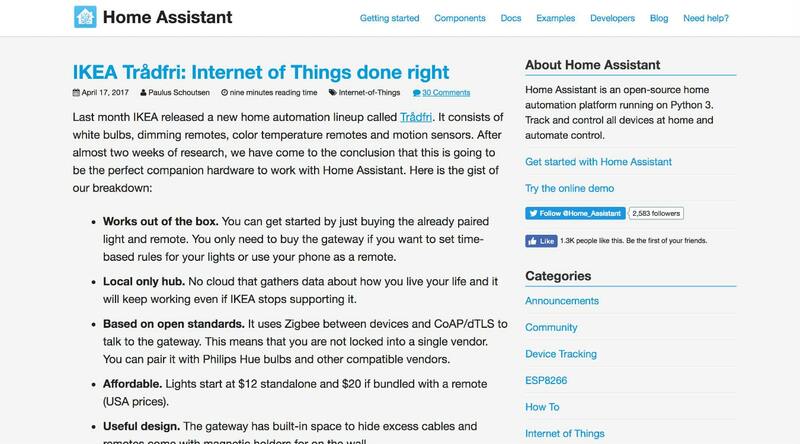 On their blog, you will find up to date information and tutorials on different Home Assistant projects. Leading the way in the community college space, CCC has a really great home automation program for students who want to get into this exciting field. They cover testing, design, installation, and troubleshooting smart home systems. Upon completion students will be able to demonstrate the ability to setup and maintain modern home automation systems. 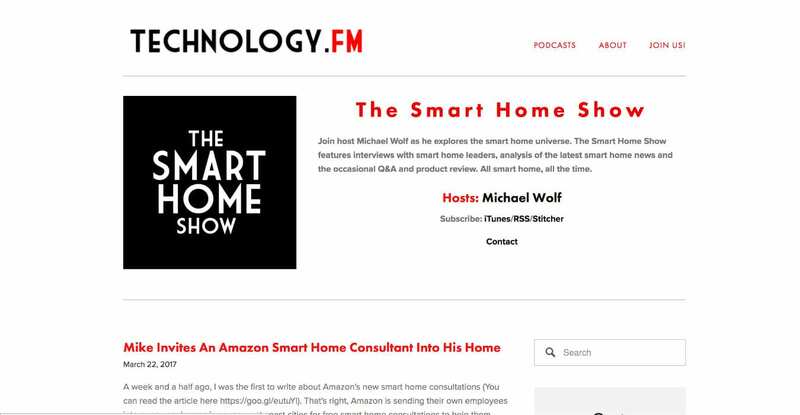 The Smart Home Show with Michael Wolf is a program that I listen to quite regularly. Michael is an industry leader who among other things, runs Next/Market, a research firm focused on emerging technologies. He covers many topics on his show including, virtual reality and the smart home, artificial intelligence, and the future of IoT and smart home technology. Highly recommended! 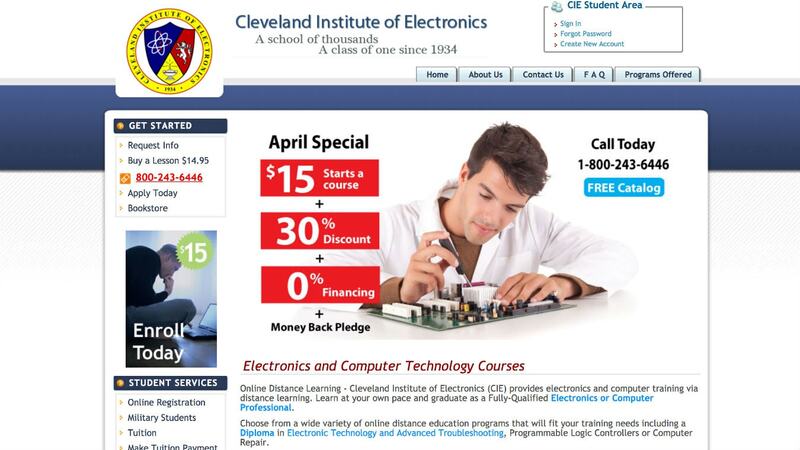 The Cleveland Institute of Electronics offers a one of a kind home automation program designed to help students learn how to service and troubleshoot smart home systems. What impressed me the most is the amount of useful information they offer in the class. They start out teaching computing basics and then do a deep dive into operating systems. They finish up by teaching you everything you need to know to troubleshoot and fix home networks and smart home systems. 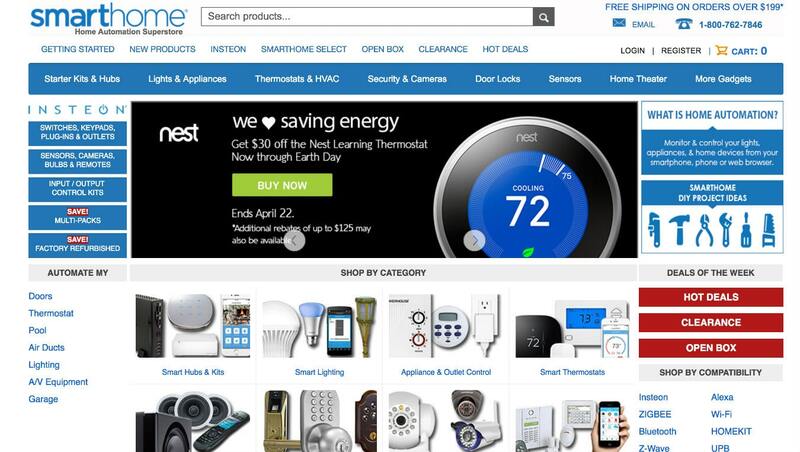 ConnectSense offers a great line of smart home products including wall plugs and sensors. What I really like about their wall plugs is its innovative 2 plug design. Instead of having to buy two separate units, you just need to plug in the one unit saving you money and outlet space. On their blog, you will find industry news and ConnectSense related information. Recent articles include simplifying IoT, the HomeKit climate, and CES 2017 coverage. 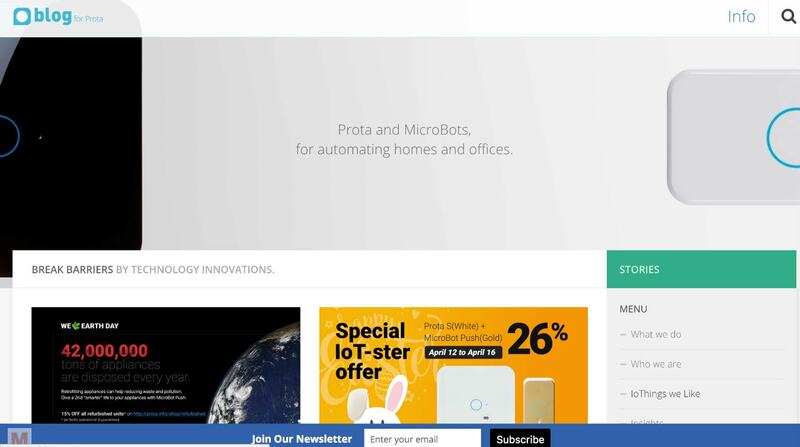 Prota is a really cool smart home hub that is tightly integrated with its other nifty product, the MicroBot push. The push allows you to retrofit many of your home electronics by remotely pushing the multitude of buttons in your home (like a garage door opener or coffee maker for example). They also have a really cool take on writing smart home routines with their "Stories" setup. Basically, you write a story line to run your home automation routines. I thought that was pretty cool. On their blog, you can find news and updated info on their products along with useful tutorials. Smarthome.com.au is an Australian based smart home e-commerce store that has a lot of really great tech. You can find deals on all the best products like Philips Hue and Insteon starter kits. They also have a lot of great tutorials on their blog like how to set up geofencing using your Amazon Echo with a Vera Z-Wave controller. Tokoias SURE app is an award-winning universal remote for your smart TV, IoT and smart home devices. With over a million downloads and hundreds of thousands of positive reviews, SURE is the best and highest rated universal remote for your smart home. 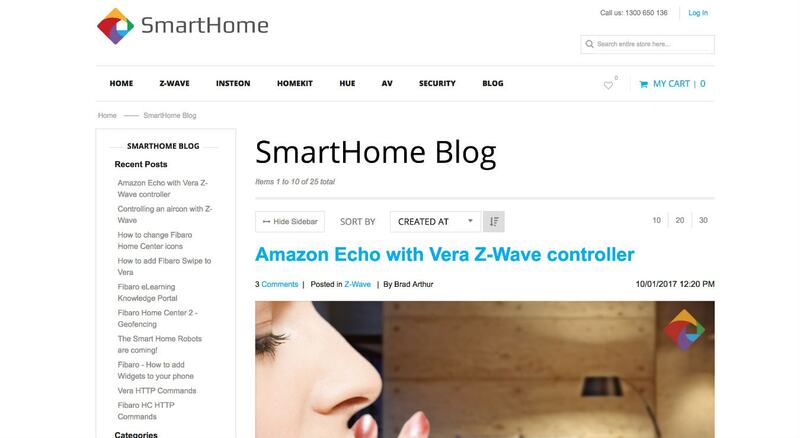 Their blog is regularly updated with great smart home and IoT articles. Some of their recent popular posts include Apple Home vs Google Home vs Amazon Echo and What is the first step in creating a smart home? 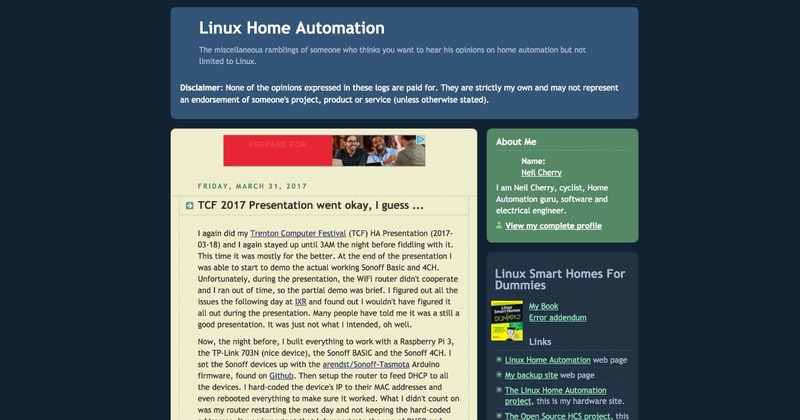 Linux Home Automation is the brainchild of Neil Cherry. Neil is a software/electrical engineer and author of Linux Home Automation for Dummies. Neil is a true pioneer and has one of the longest-running blogs in the space. There is a lot of high-level networking and home automation information on his site. Not all of the information is limited to Linux. Among other topics, you can also find info on SmartThings, OpenWRT, and Chromecast. Resolution is an IoT & security company with innovative products that integrate with most systems. Their groundbreaking Helix panel system eliminates the need for a wall based security panels because all the controls run through their app on your smartphone. That saves you space and gives you greater control of your security system. They also carry a strong line of smart home device and protection sensors. 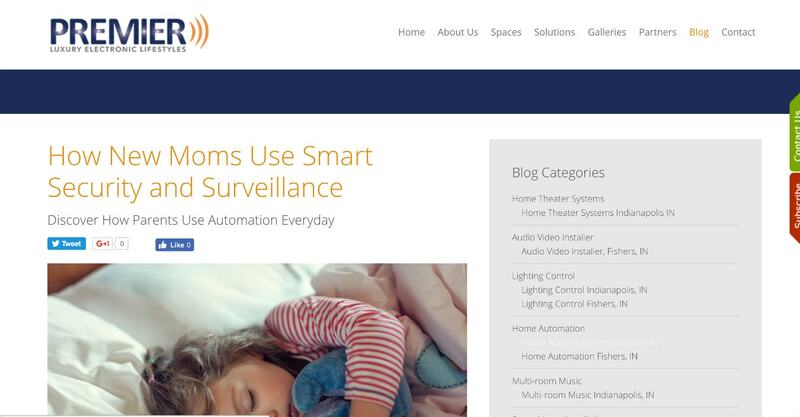 On their blog, you will find information on several topics including industry news and events, new products and updates, and ways to use your smart home for safety and security. Hi-Fi Sales is a regional electronic systems retailer with professional installation services based out of Cherry Hill, New Jersey. If you are looking for some ideas I highly recommend checking out some of the pictures of their gorgeous showroom listed on their site. I included them here because they also have a very useful and informative blog that gives all kinds of great tips and tricks for setting up and using your smart home. 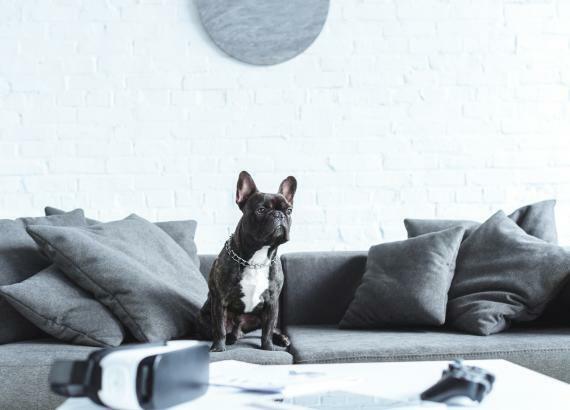 Some of their latest posts include, where to begin with smart home automation and how to invest in a whole home audio system. CE Pro Europe offers a lot of really great content for installation professionals in the home electronics space. 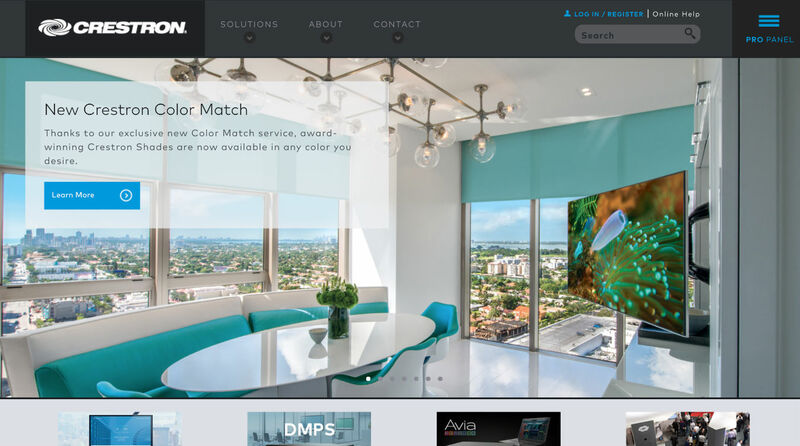 On their site, you can find case studies of professionally installed home theater, home automation, and lighting systems. They have some really beautiful pictures of homes equipped with all the latest tech. 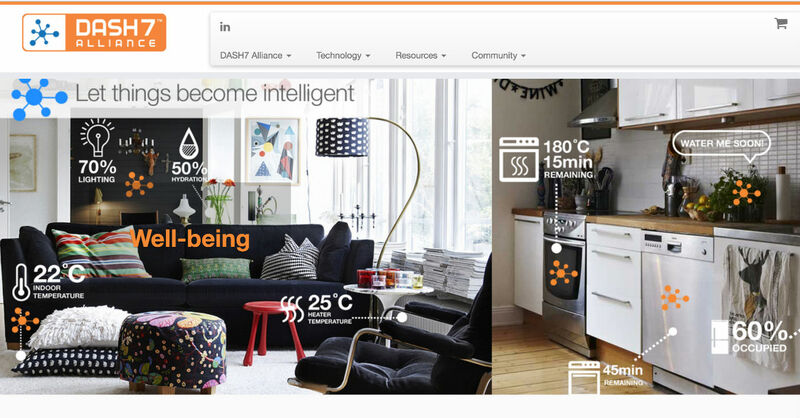 In the home automation section of the site, you will find up to date information and news in the smart home space. Some of their recent posts include, how burger king is trying to hijack your smart home and the new round of Google Home supported devices. 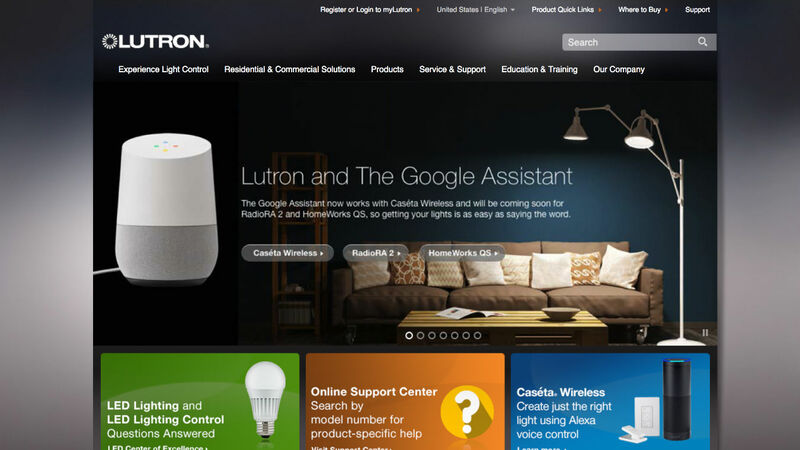 Smarter Home Automation is a news and information hub for all things smart home related. They have some really great articles including the smart home kitchen of the future and a detailed look at Alexa and Apple Siri personal assistants. Home Controls is a smart home automation megastore where you can find anything from home automation controllers to central vac systems. 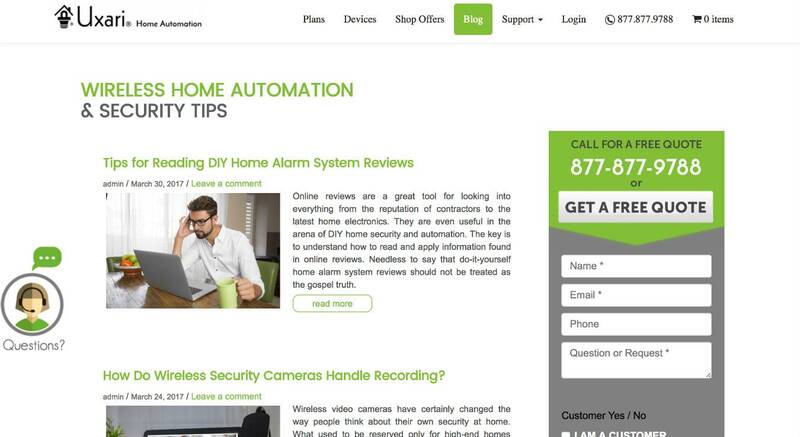 They also have a really great blog that covers many smart home topics including, common mistakes in smart home setups, how to improve home security with home automation and the best IP door video intercom systems. Highly recommended! 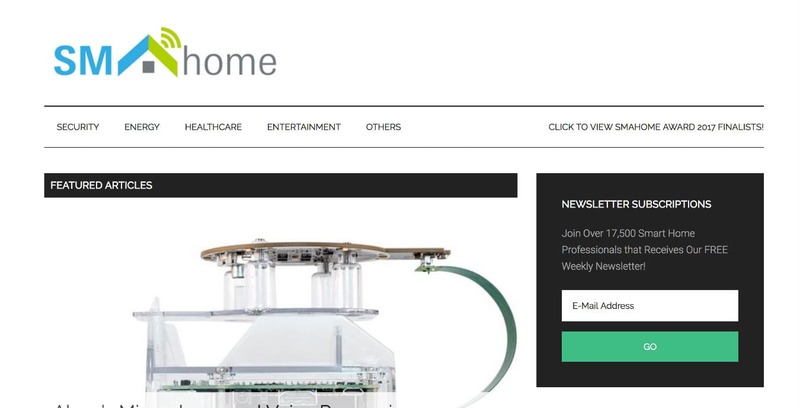 I really like SMAHome because they always have the latest information on recent products in the smart home space. Recently they covered the June Intelligent oven and the Somabar (if you don't know what these products are you need to go check them out right now at SMAHome! so cool!). You can also find tutorials and the latest news in the connected home space. Some of their recent articles include ADT's launch of a new Alexa skill and Ecobee4 launch details. 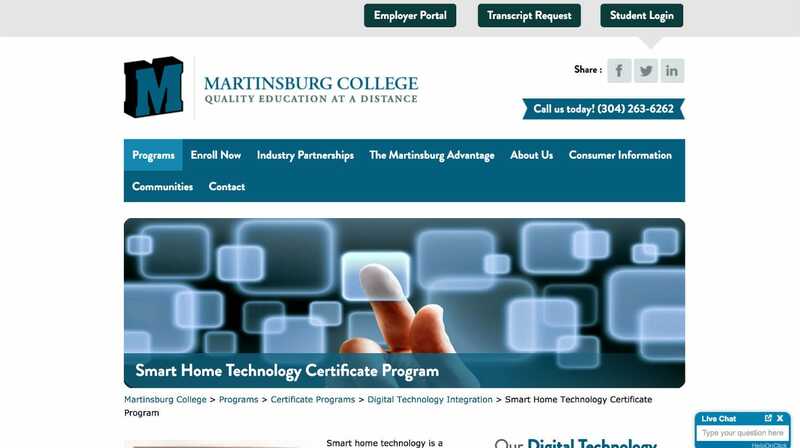 Martinsburg College is helping students prepare for in-demand jobs today with an eye toward the future. With their innovative smart home technology certification program, you can learn what you need to enter this quickly growing field. The program covers advanced and emerging technologies, industry automation solutions, wireless protocol specifications, and the Zigbee IEEE 802.15 protocol. When you complete the course you will be qualified to enter this exciting new career. 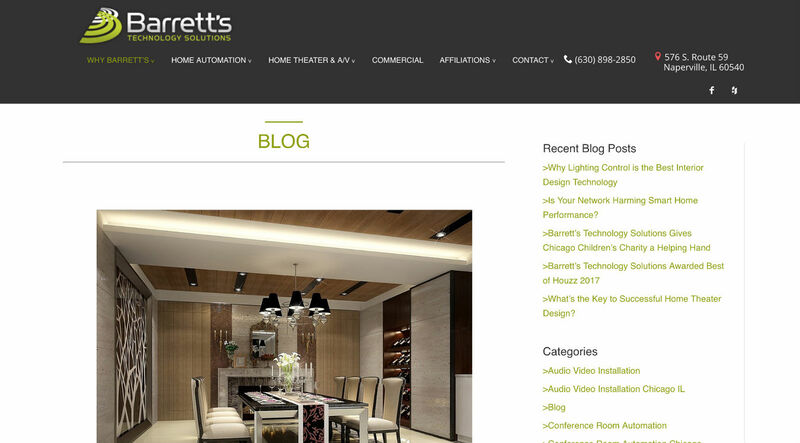 Barrett's Technology Solutions is a local industrial and residential smart home & IoT design and professional installation firm located in Naperville, IL who recently won the Houzz.com "Best of Service" award. Some of their services include installing home theater equipment, electronic shades and lighting and many smart home solutions. 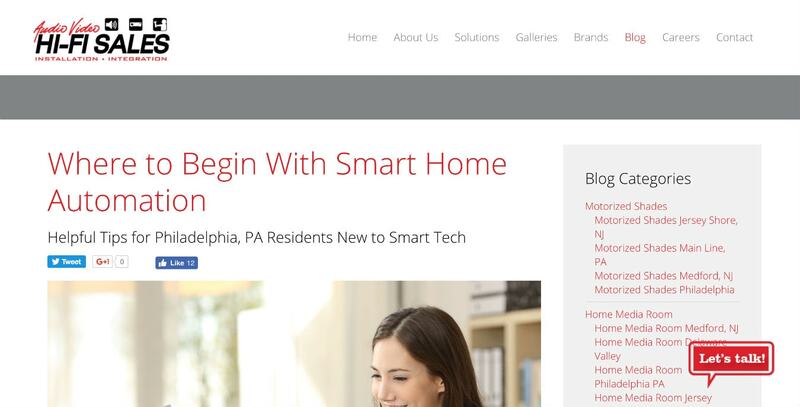 They have a really great blog that covers many topics in the smart home space. Some of my favorites include, why lighting control is the best interior design technology and the key to home theater design. 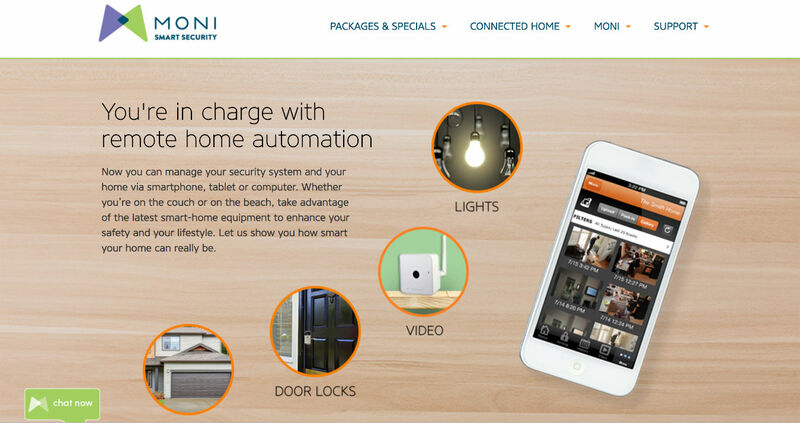 Uxari is a Florida-based provider of DIY home automation and security systems. They offer professional installation of industry leading home security systems and they will setup and configure many smart home devices for you. 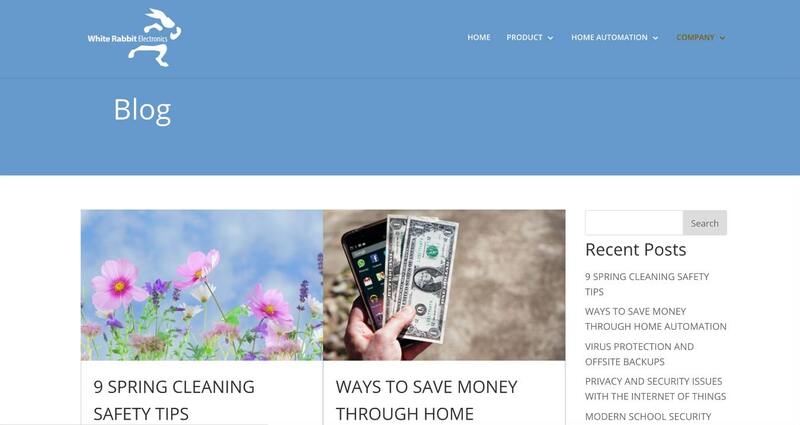 They also have a lot of really great articles on their blog including, creative ways to use home automated lighting scenes, home automation vocabulary terms, and wireless security camera recording. Crown Audio Video is a corporate and residential audio video and smart home design and installation firm located in the Dallas, Fort-Worth area. They have an impressive list of happy customers including General Electric, Coca-Cola, Amazon and Mercedes-Benz. 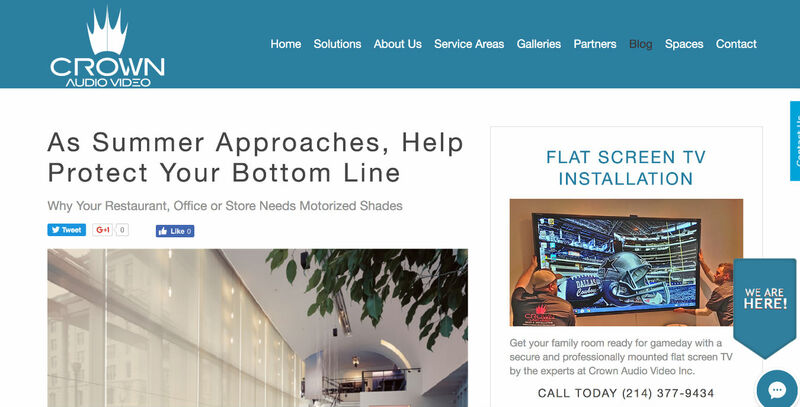 They have a variety of fantastic articles on their blog including how to best use your whole home audio, preparing a new house for smart home automation, and how to save money with motorized shades. Wicked Smart Homes is a Sarasota, Florida is a smart home professional installation company. Over 90% of their business comes from referrals, meaning that they have very happy customers. Just a side note; I really like their tag line "Live Smart". Clever! 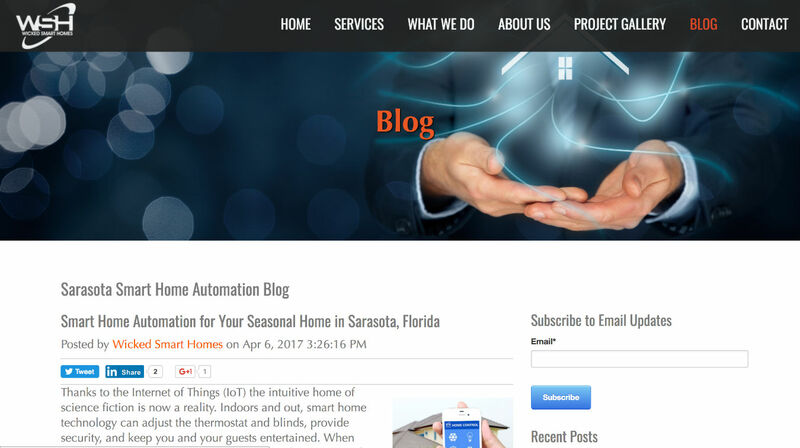 Their blog has many great articles including, safety and security features to consider with your smart home, do it yourself vs do it for me smart home automation, and using the Amazon Echo as the center of your smart home. Abode is an absolutely fantastic smart home security system that integrates with the Amazon Echo. You can use Alexa to arm and disarm the system, check on open doors and windows, and go into panic mode (with a pin for security of course). It's also a smart home hub that can control and create home automation routines. Other innovative features include no contract short or long term monitoring and visual verification which allows you to see what is going on in your house before the police are called, cutting down on false alarms. Dash7 is an ultra fast and secure IoT protocol used in supply chain management systems, manufacturing and warehouse optimization, and hazardous material monitoring. Its advantage over its competitors is that it is designed specifically for sensor nets, supply chain, asset tracking and other industrial applications. On their site, you'll find news and information related to the Dash7 protocol along with development kits, white papers and academic publications, and other Dash7 related resources. 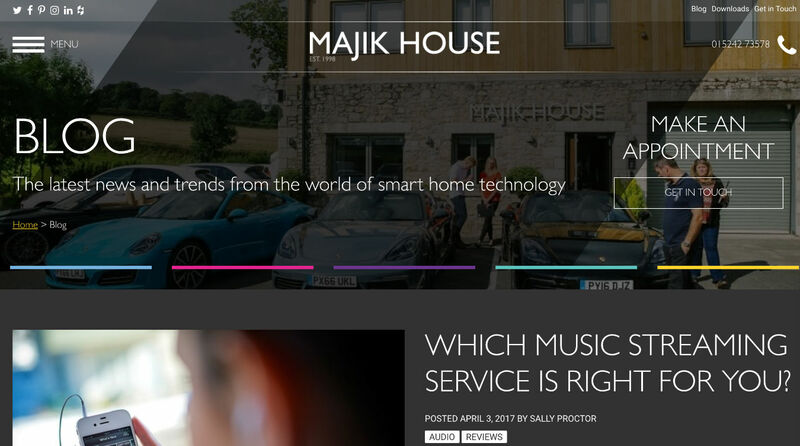 Majik House is one of the UK's longest running smart home professional design and installation companies. With an impressive 18-year track record and a collective 100 years of experience, Majik House is more than qualified to help you with all your smart home and home automation needs. 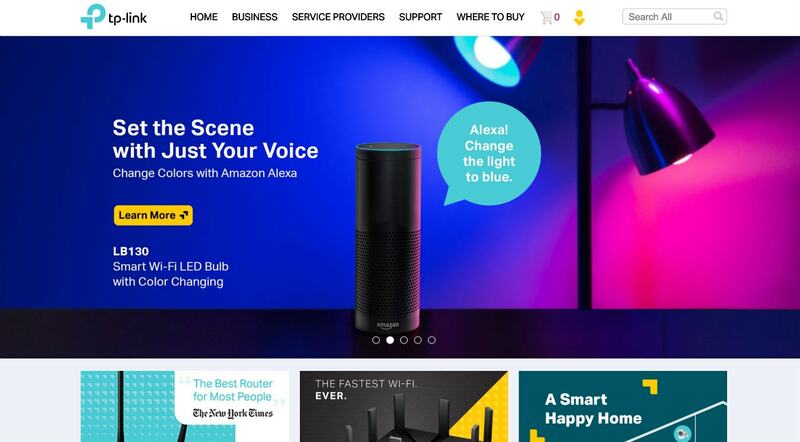 On their blog, you will find very useful articles including, how to choose the right music streaming service for you, how to integrate the Amazon Echo into your smart home, and choosing the right broadband service. 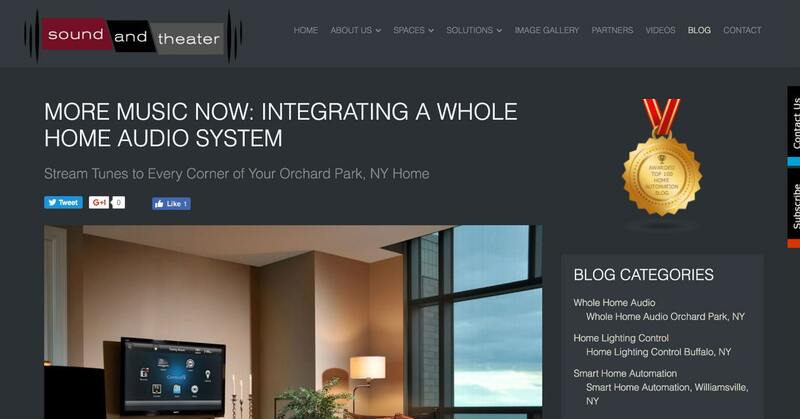 Started in 2000 by Larry Supon, Automated Lifestyles is a Southern New York and Western New Jersey based commercial and residential automated systems company. On their blog, you'll find great information related to smart home technology. 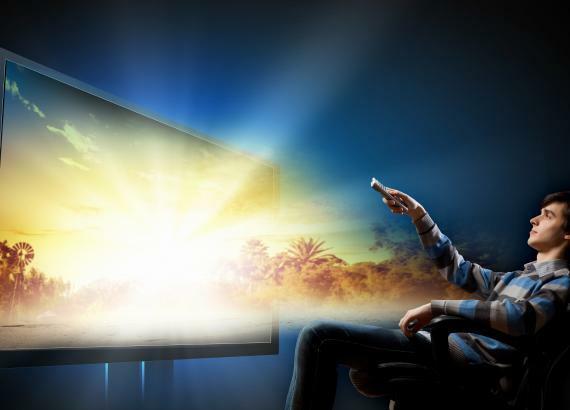 Some of their recent posts include, do you really need an outdoor TV, everything you need to know about the new Sonos Playbar system, and how to choose the best smart window shade solution. Located in Williamsville, New York, Sound & Theater is a whole home professional installation and design company with many credentials to their name. They are a Control4 Gold and Lutron certified provider. Some of their recent posts include, 3 essential benefits of home lighting control, latest trends in smart home automation, and integrating whole home audio systems. 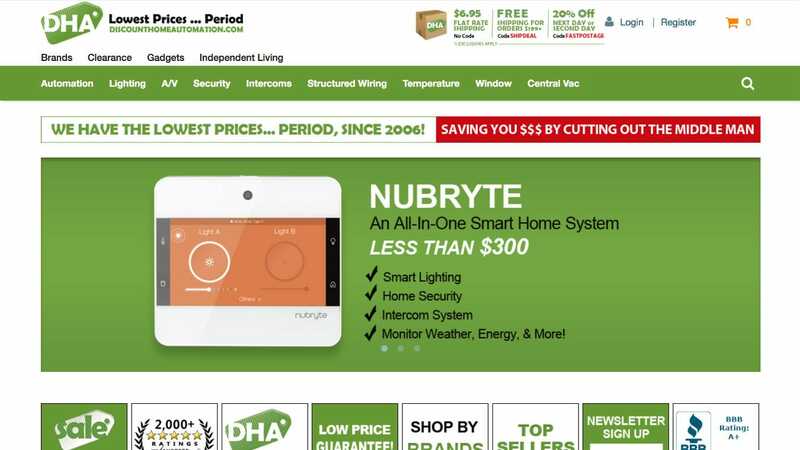 Celebrating its 11th year in business, Discount Home Automation is a really great smart home e-commerce store. You can find many of the latest brands and they have some fantastic deals in their clearance section. They also have an independent living section which I think is really innovative. In this section, they highlight many products that help the elderly and people with disabilities to live more independently through the use of modern technology. With many industry memberships and awards (including CEPros top 100 integrators for 11 years running) Premier is a seasoned home automation design and professional installation service based out of Carmel, Indiana. On their site, you'll find really great smart home automation articles including, an A/V installers guide to new construction, how to make your whole house music system sound amazing, and how new moms use home security and monitoring systems. With 4 locations, Pacific Audio & Communications is Hawaii's premier smart home installation company. Since 1991 PAC has installed over 1000 audio, video and smart home systems for their very happy clients. 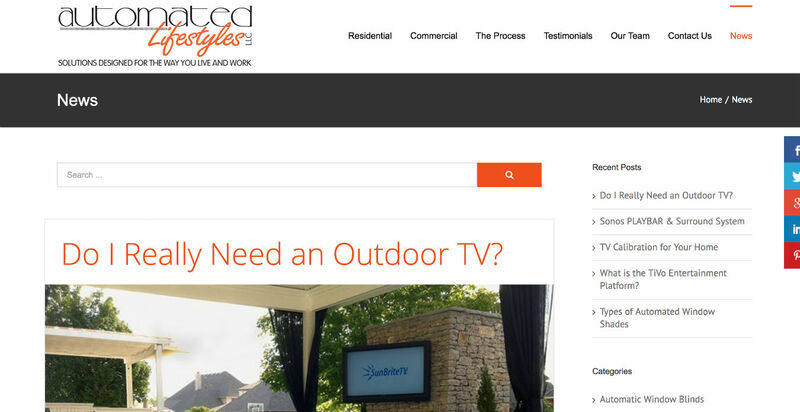 They regularly update their blog with excellent content including, client installs and case studies, preparing for the analog sunset, and getting ready for summer with a great new outdoor audio system. 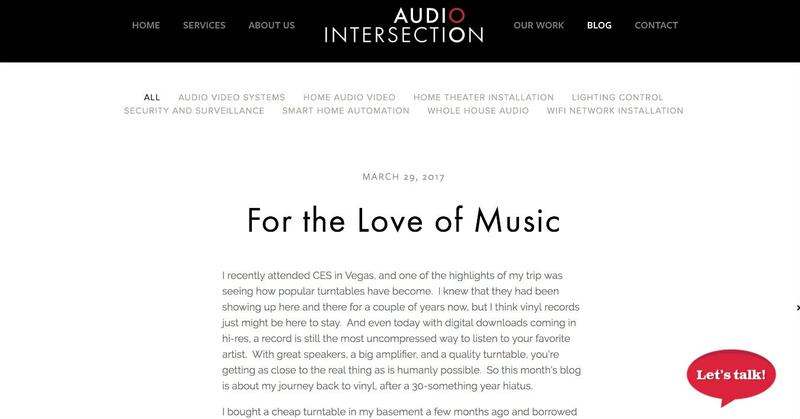 With over 50 years of combined experience, Audio Intersection has customized and installed some really great smart home systems. They are a local firm based out of Canton Georgia. If you get a chance I highly recommend you take a look at some of their prior installs. They have some very cool pictures of their work. On their blog, you will find info on the latest smart home trends including music, television, and interoperability. White Rabbit is a very cool smart home hub that automatically arms and disarms your security system and controls other smart home devices based on your location. When you leave the house, it knows and will arm your security system, set the thermostat and turn off all the lights. 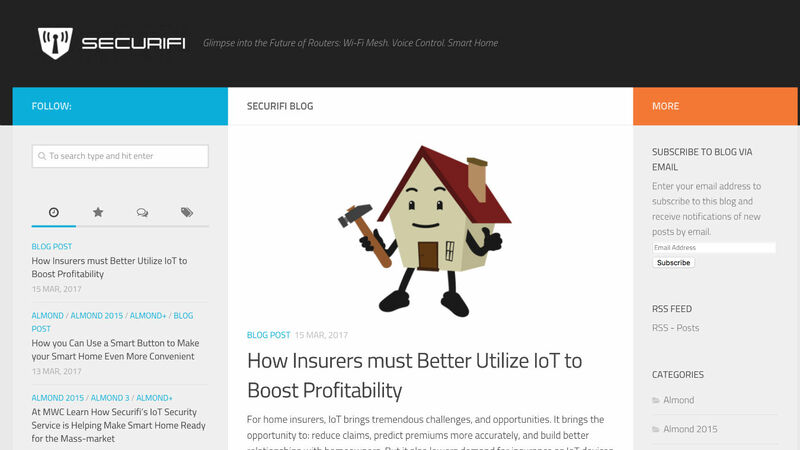 On their blog, you will find information on security trends and information including, ways to save money through home automation, privacy and security with the Internet of Things, and the benefits of smart home security. I appreciate your efforts in bringing out an extensive of leading Smart home IOT companies.I work as an intern engineer at pert home automation,and the information is very helpful to study,understand various home automation products of various companies. It’s great to be reading your post. I feel it to be highly informative and the best part that it yields out great information for the people looking for Smart Home Solutions based on IoT.